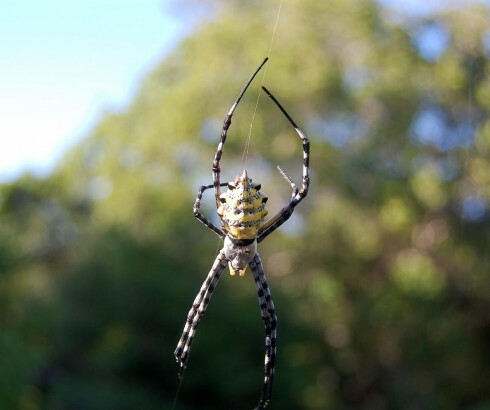 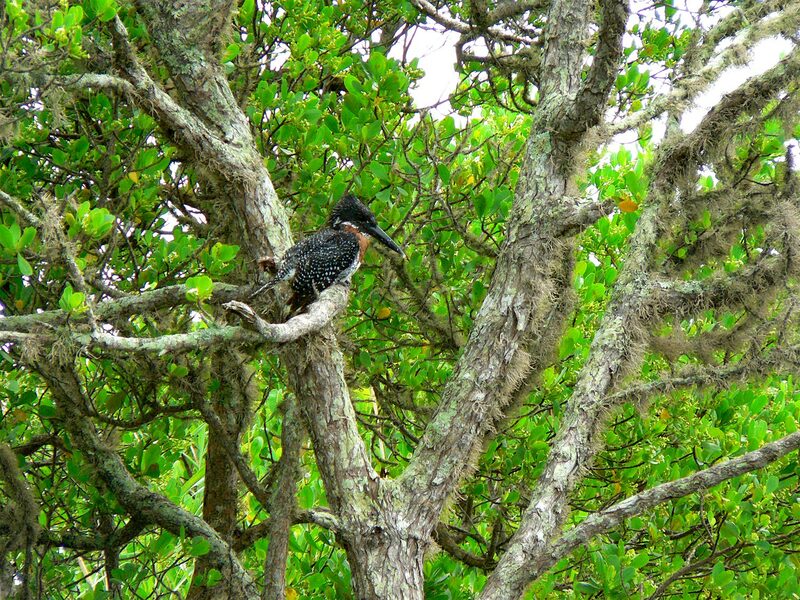 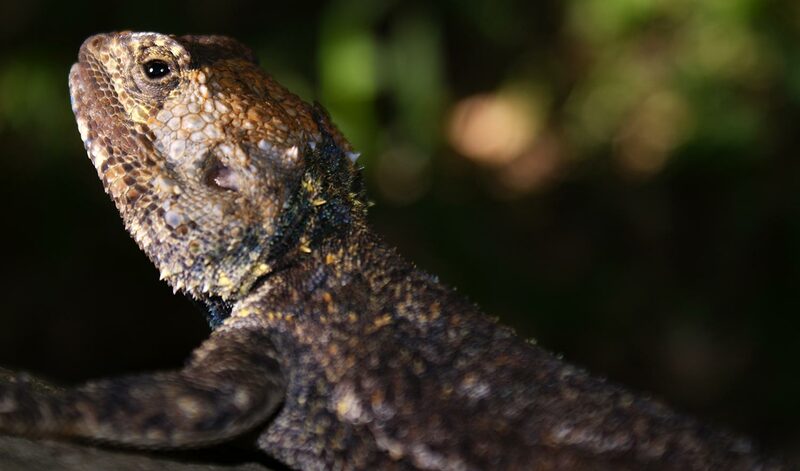 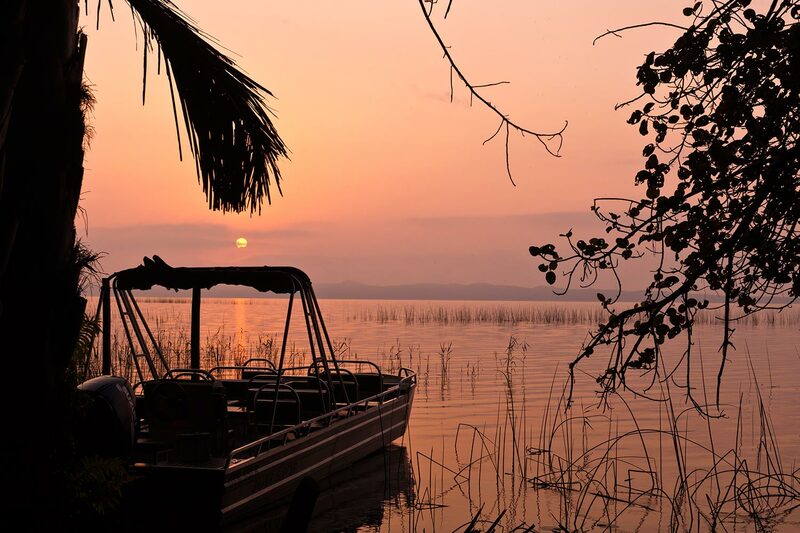 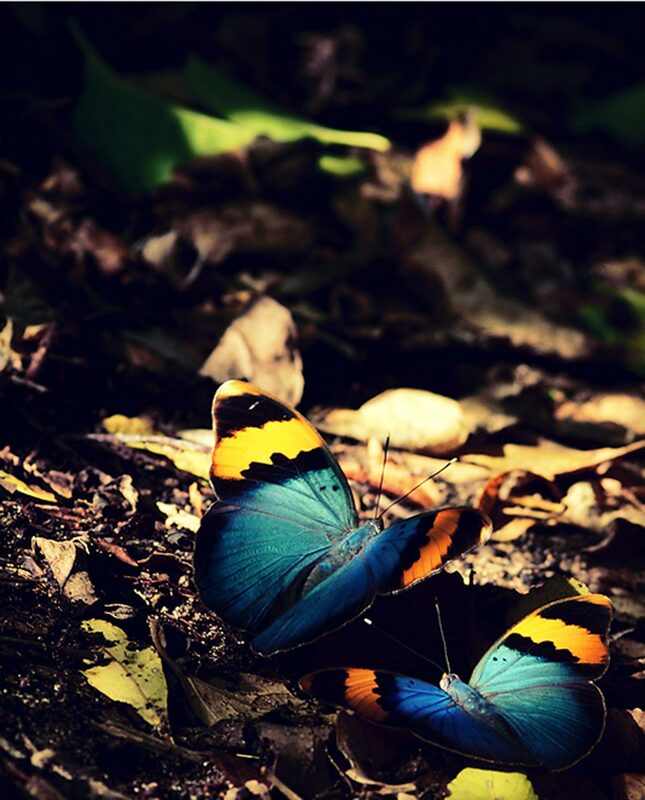 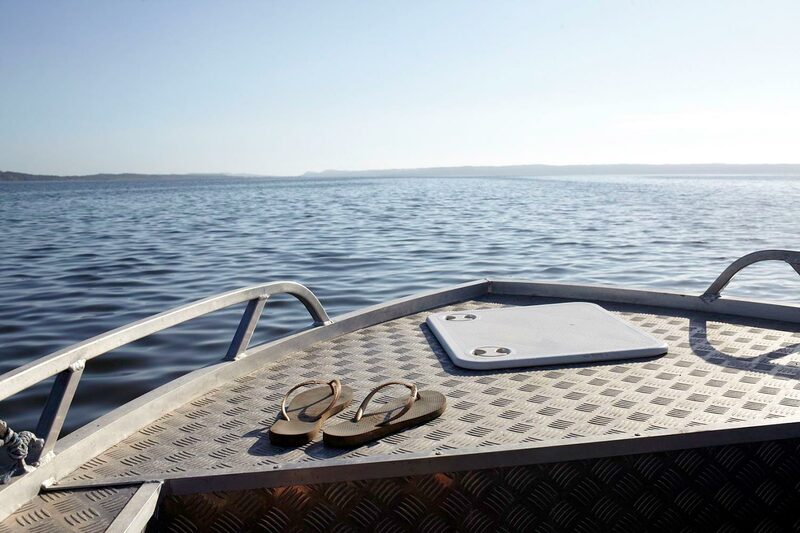 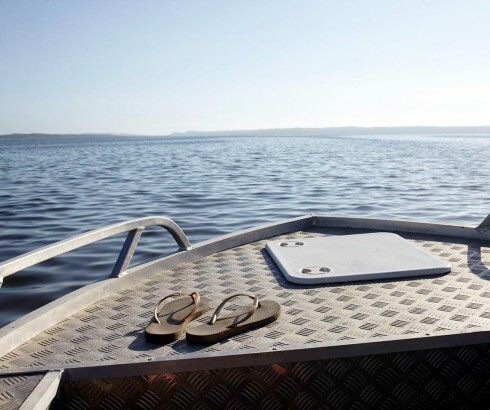 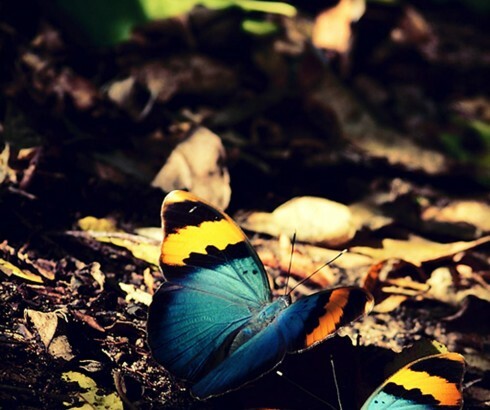 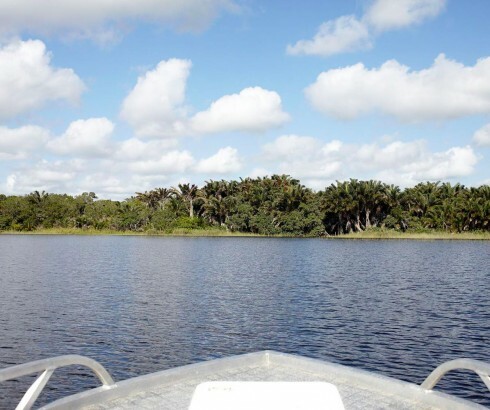 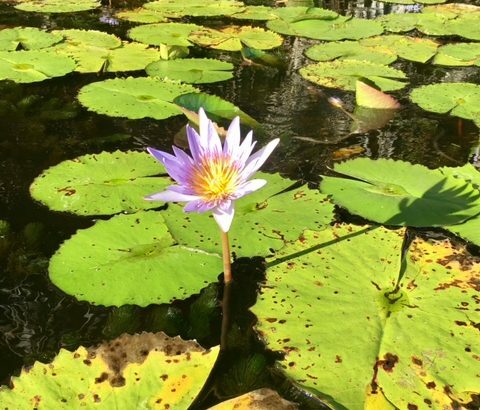 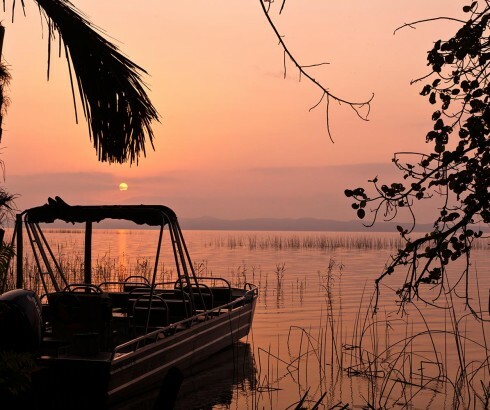 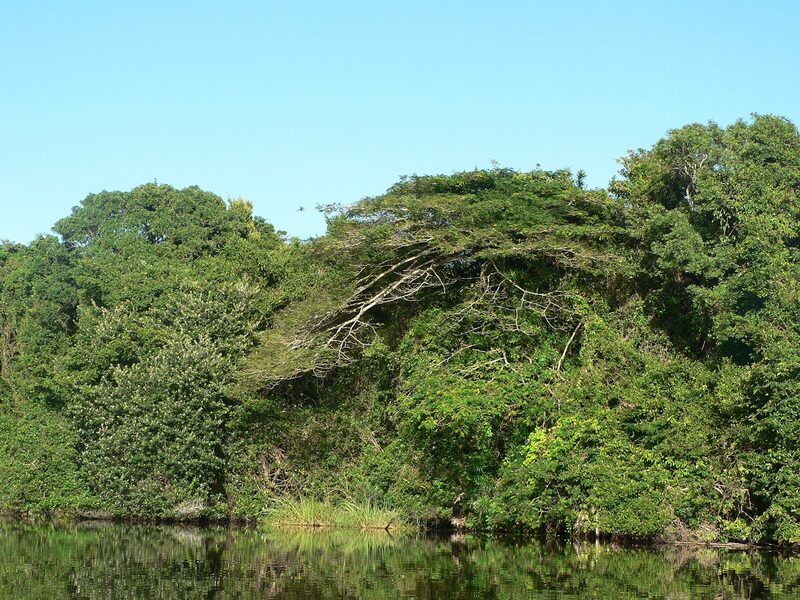 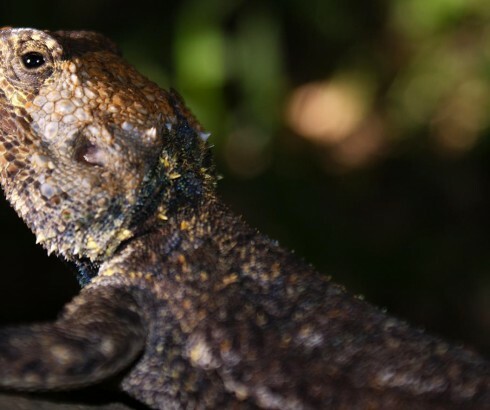 This unspoiled nature reserve surrounds the rare and beautiful Kosi Bay lake system. 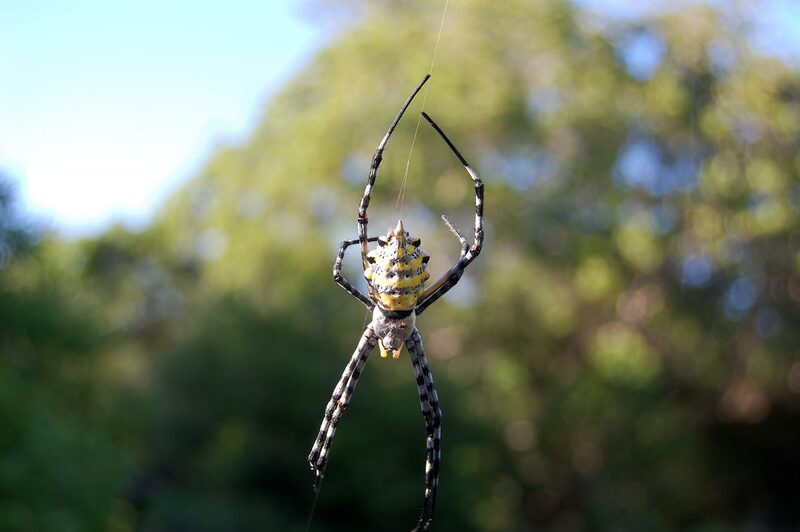 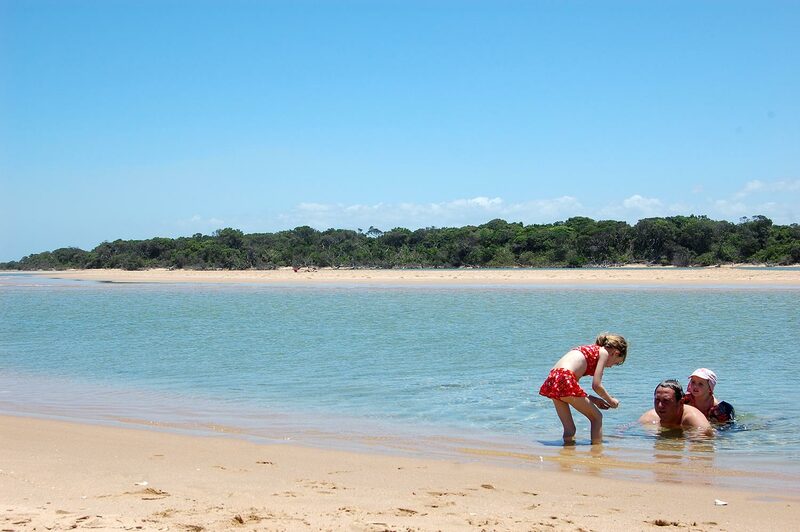 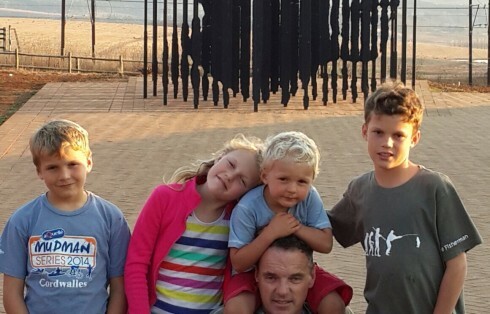 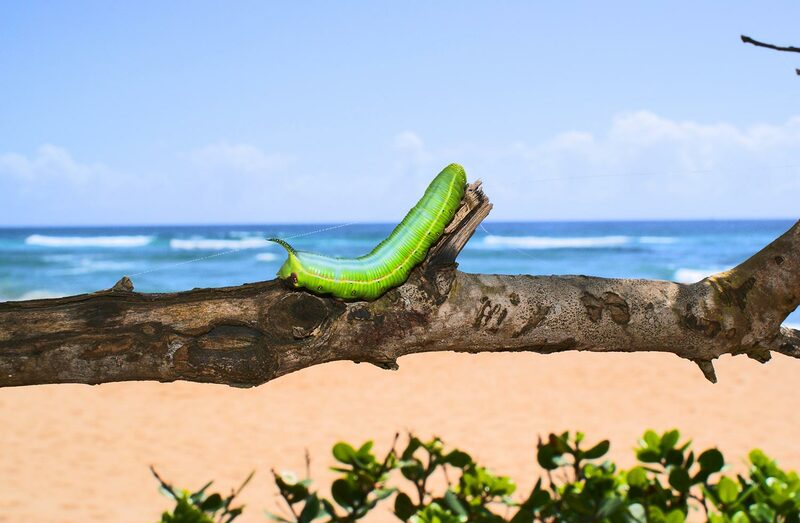 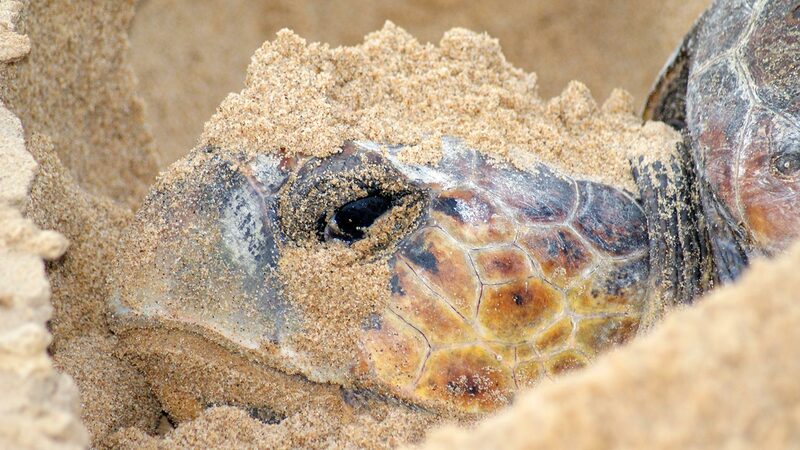 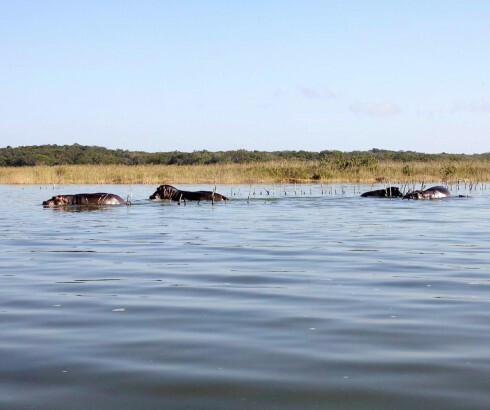 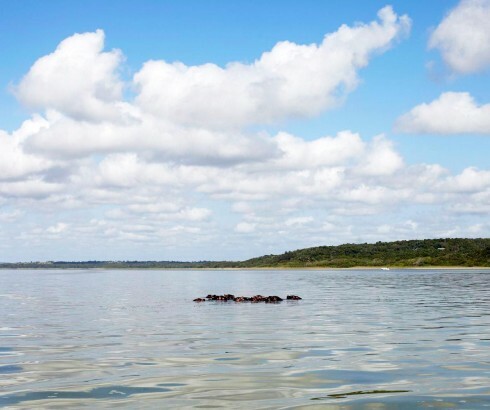 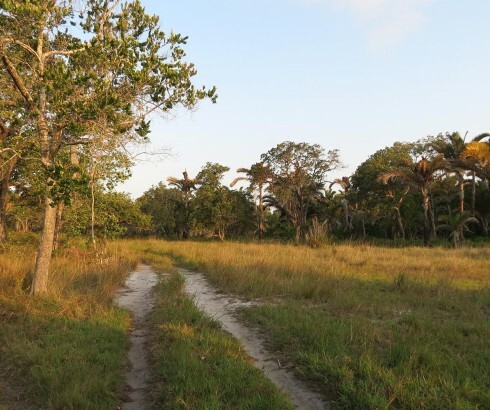 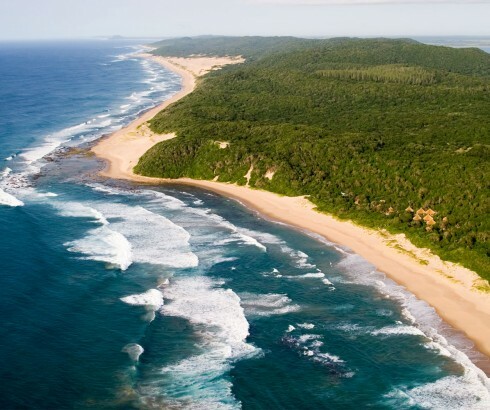 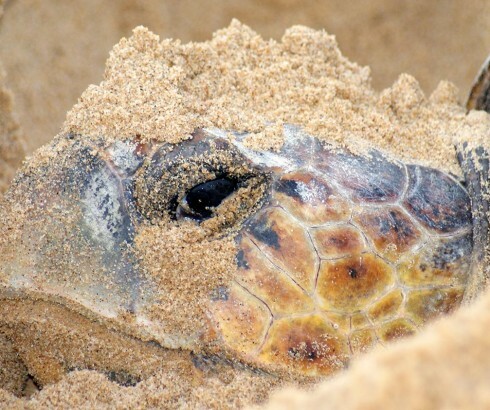 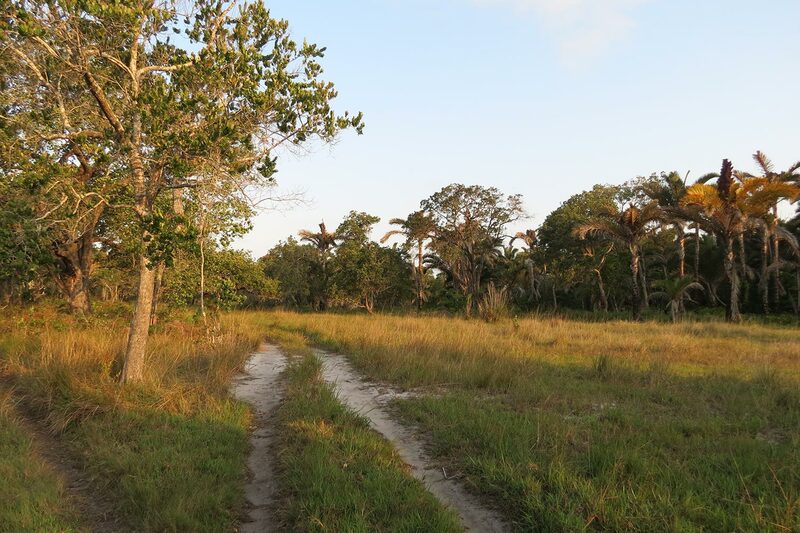 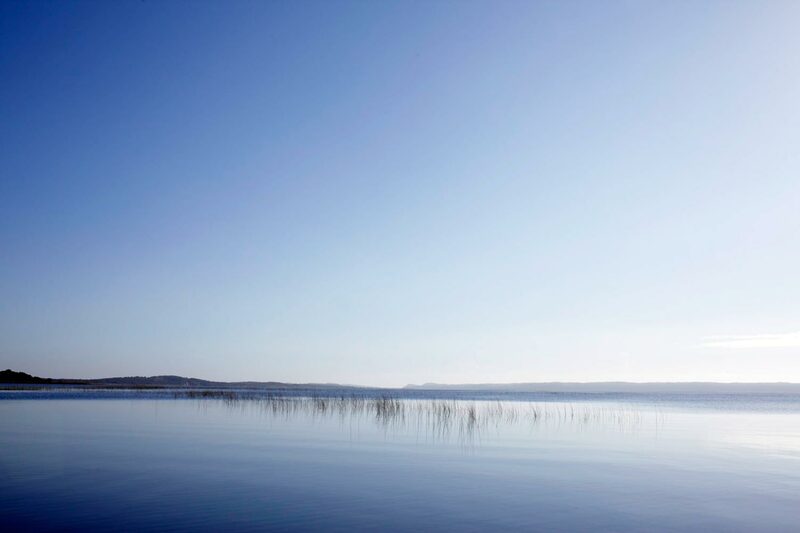 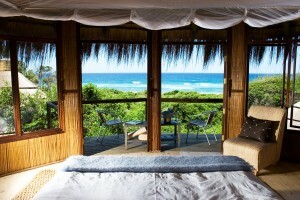 It has been incorporated into the iSimangaliso Wetland Park, an internationally recognised World Heritage Site. 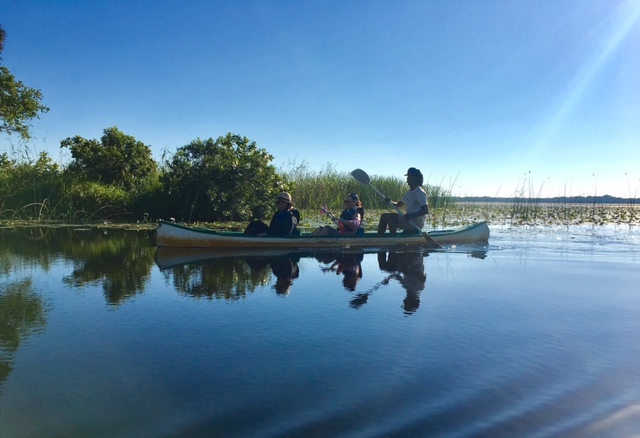 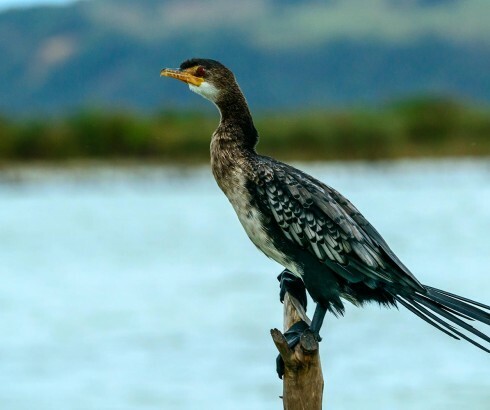 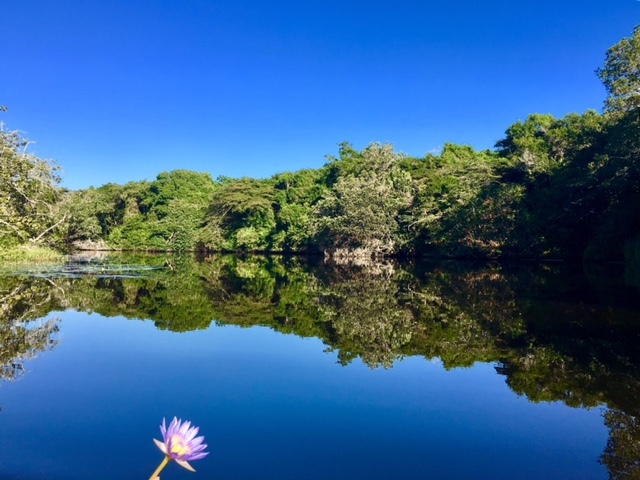 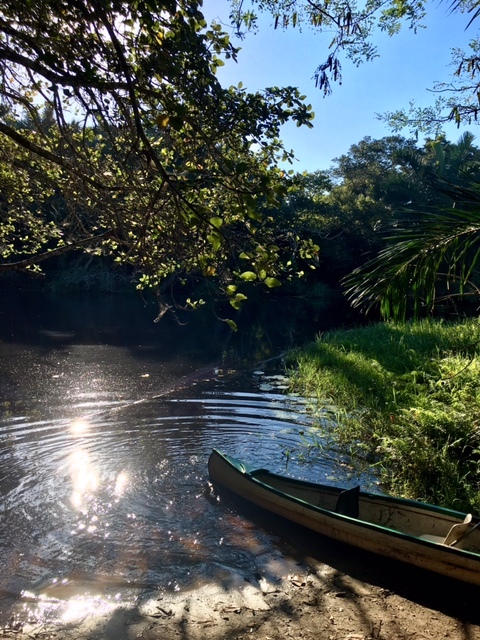 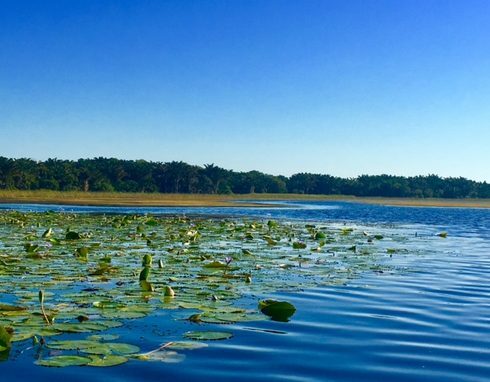 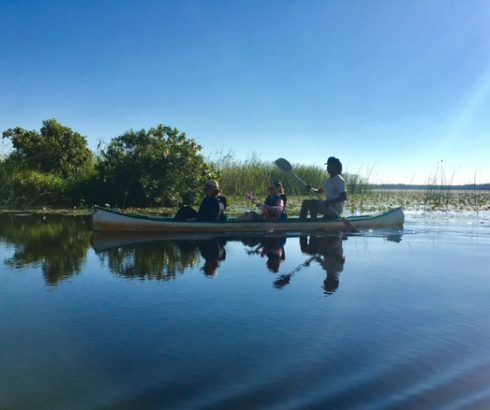 The 11,000ha, 30km-long reserve is a tropical paradise of crystal clear water, marshland, swamp and coastal forests that is home to about 250 species of bird. 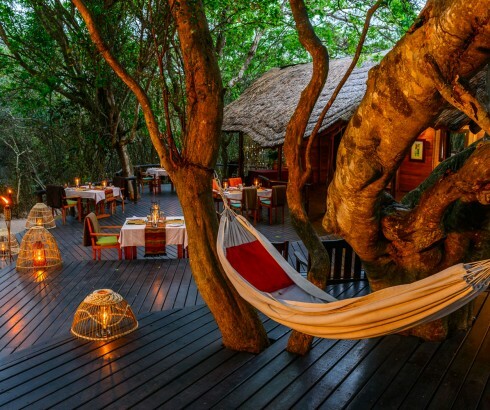 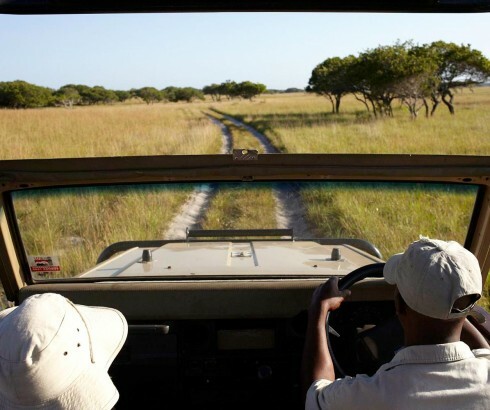 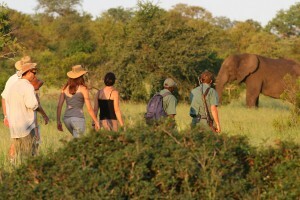 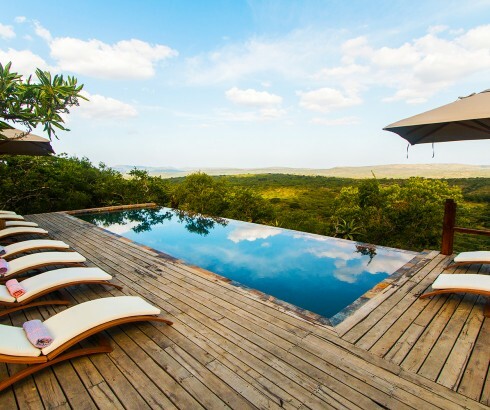 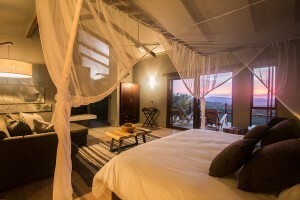 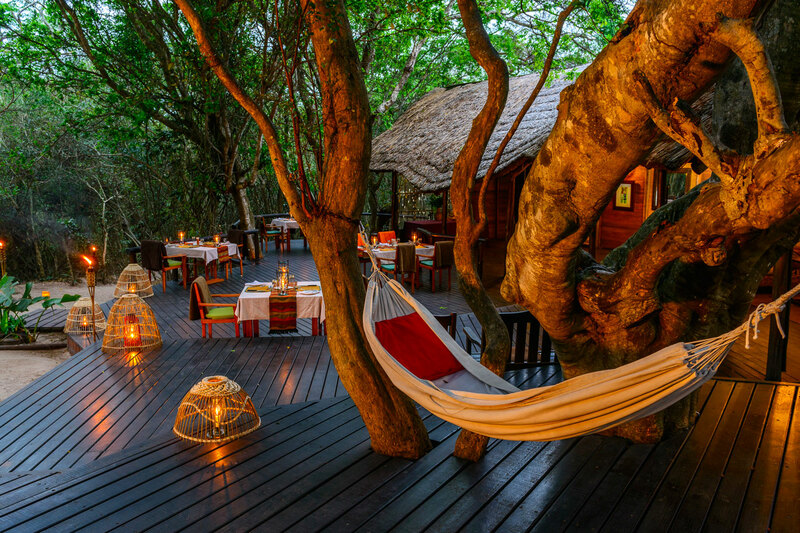 Kosi Forest Lodge is the only private lodge in the nature reserve. 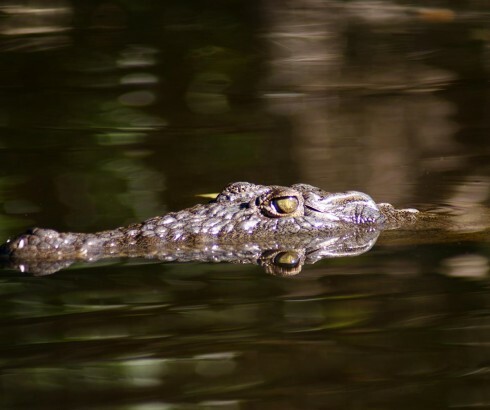 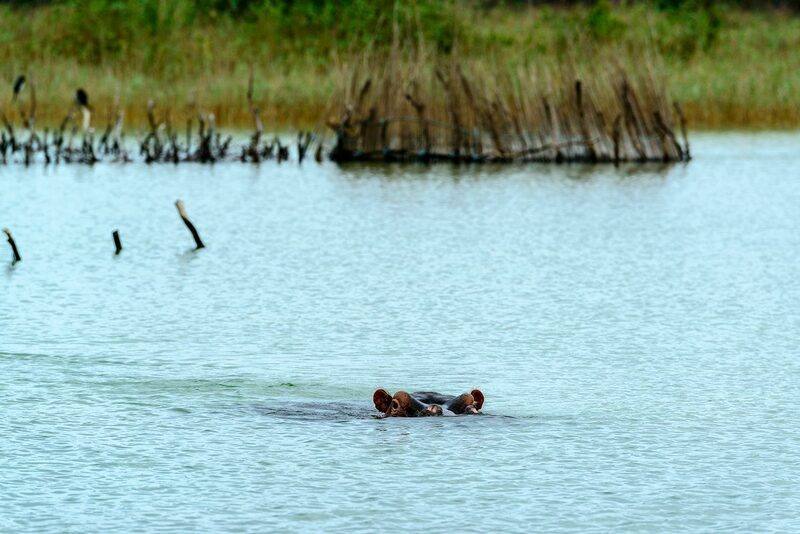 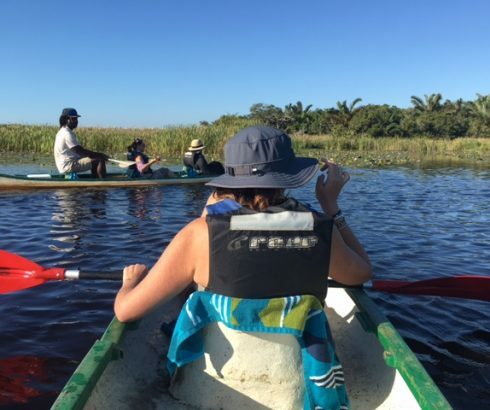 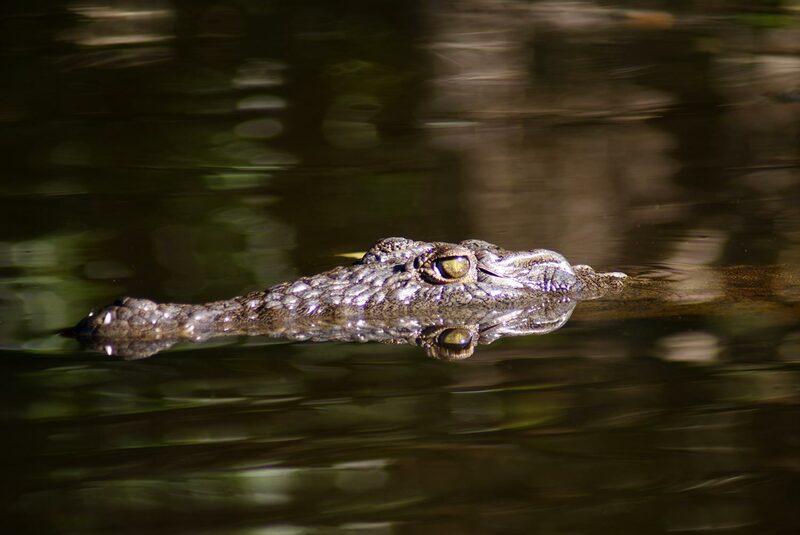 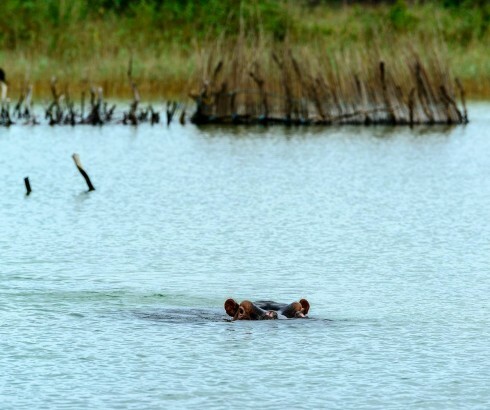 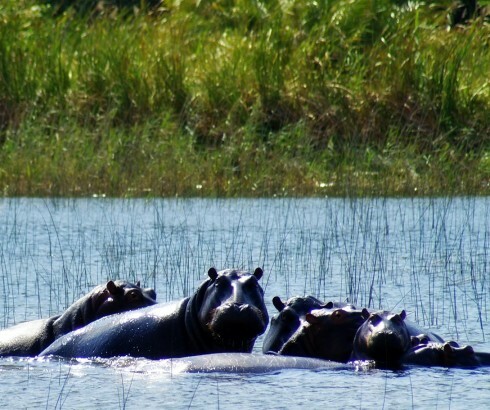 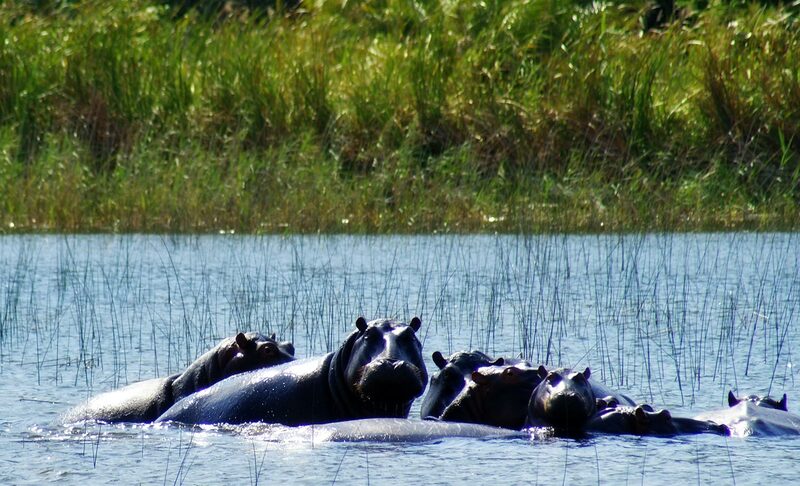 Hippo and crocodile bask in and around the lakes and the reserve provides a haven for a variety of rare fish, flora and fauna. 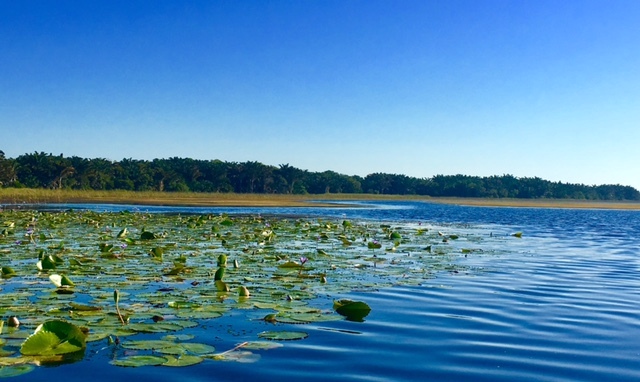 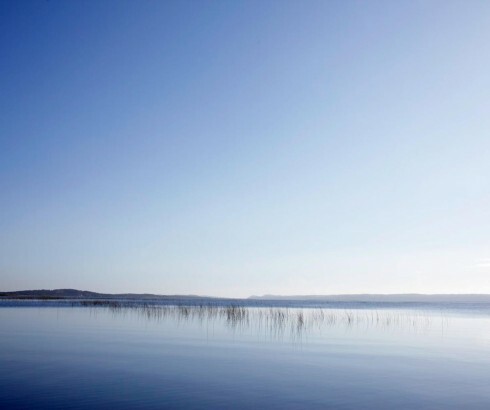 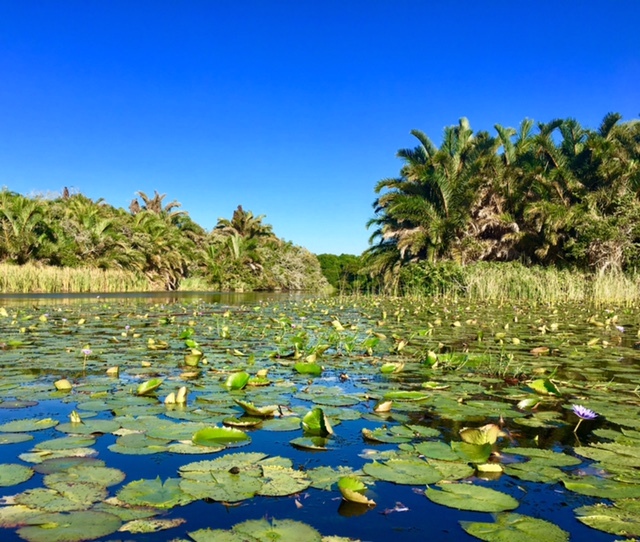 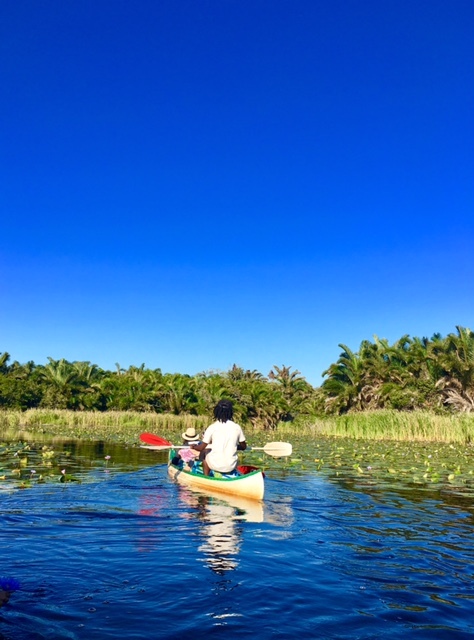 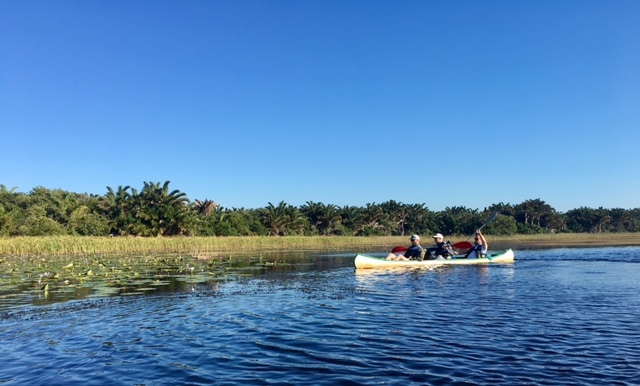 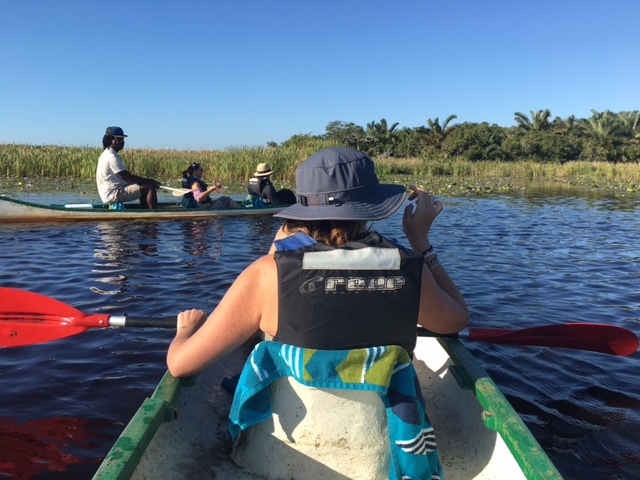 The Kosi lake system has long been regarded as the best-preserved large estuary system on South Africa’s Indian Ocean coastline. 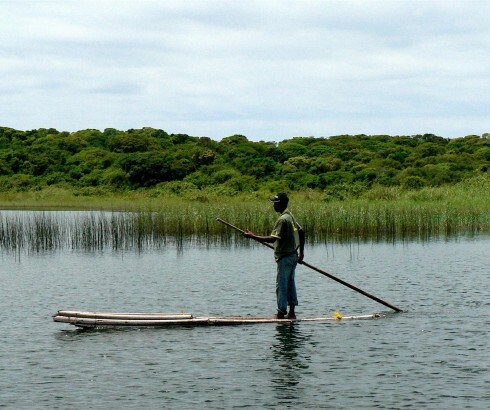 The system consists of four large lakes and a series of inter-connecting channels that eventually drain via a sandy estuary into the Indian Ocean. 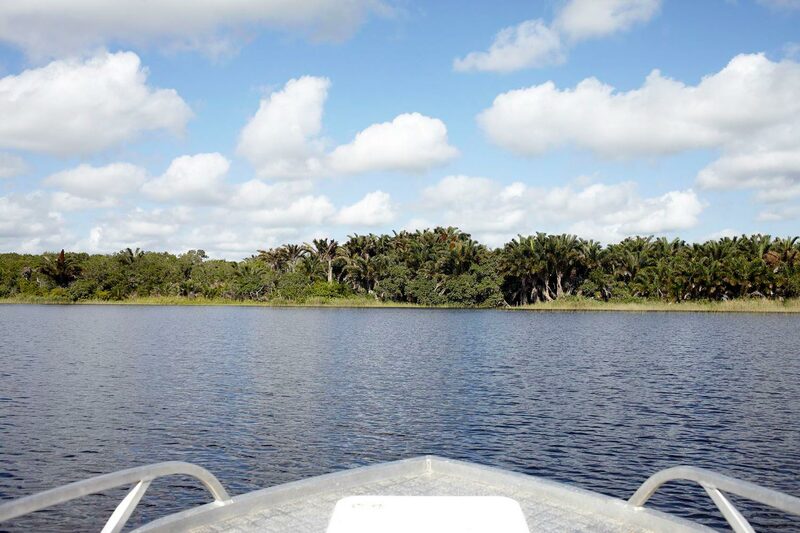 The lakes are separated from the ocean by a strip of forested sand dunes. 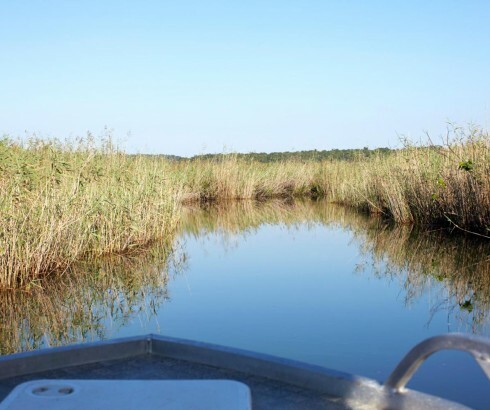 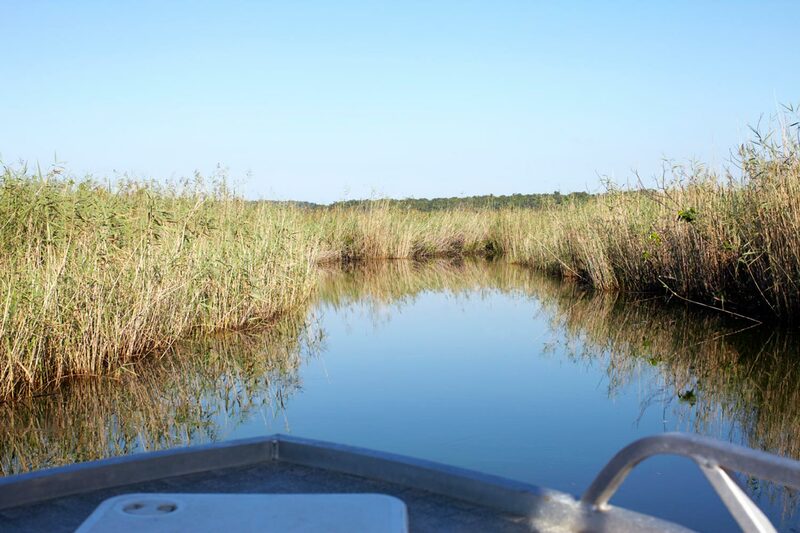 The system is characterised by grassland, interspersed with lakes, pans, streams, marshes and swamps. 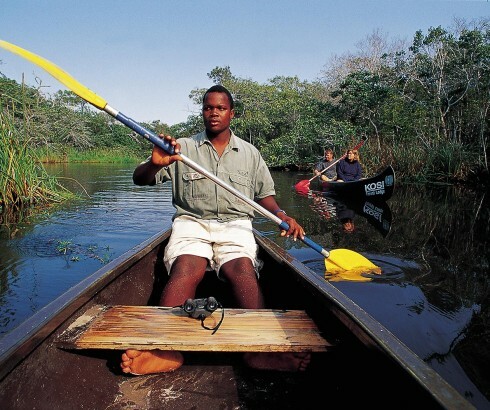 The swamp forests found in this area are the largest in the country. 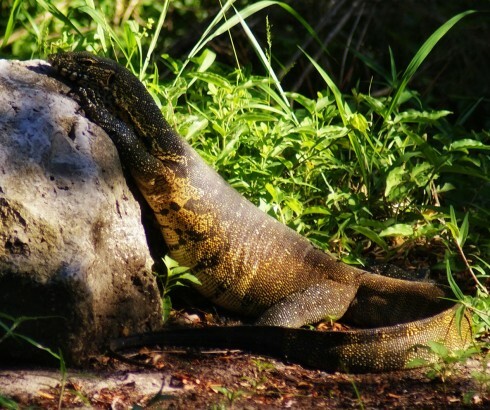 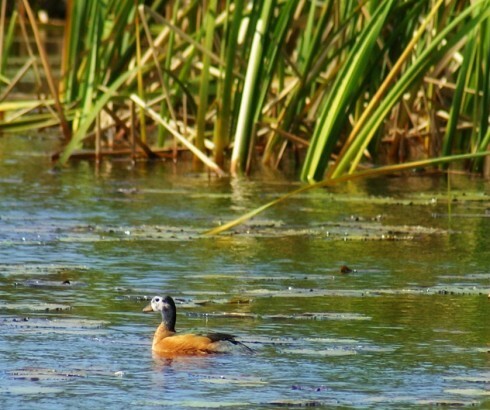 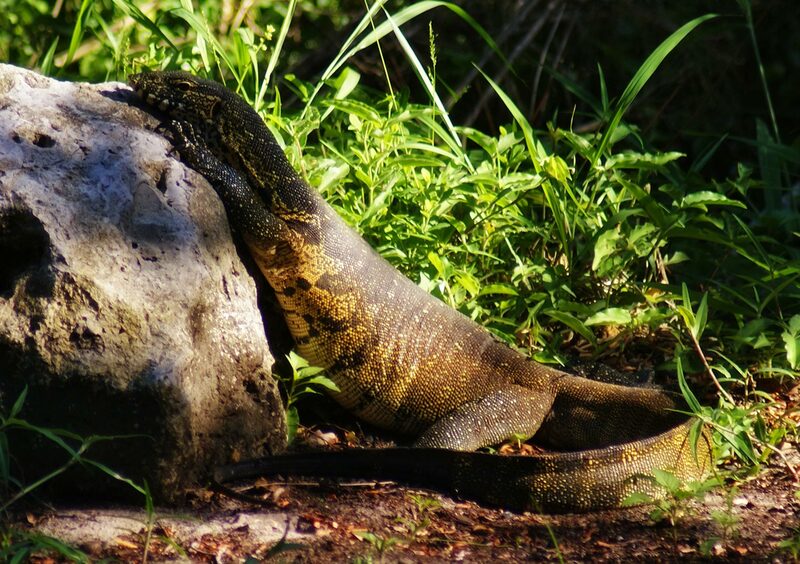 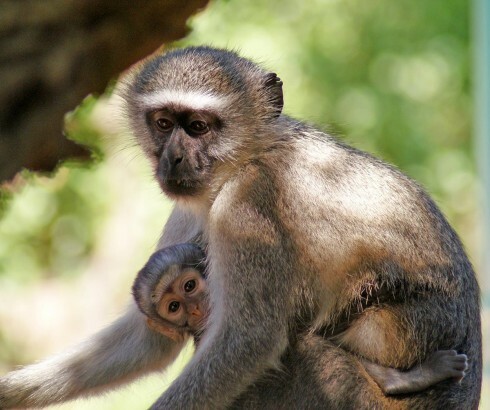 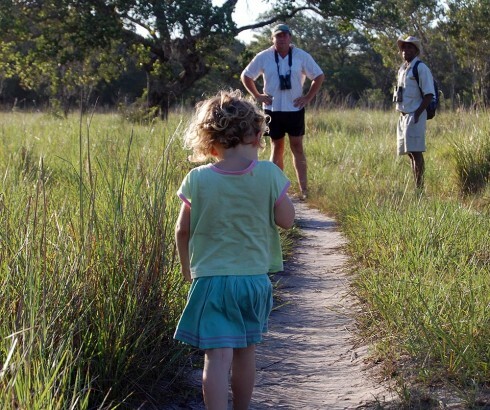 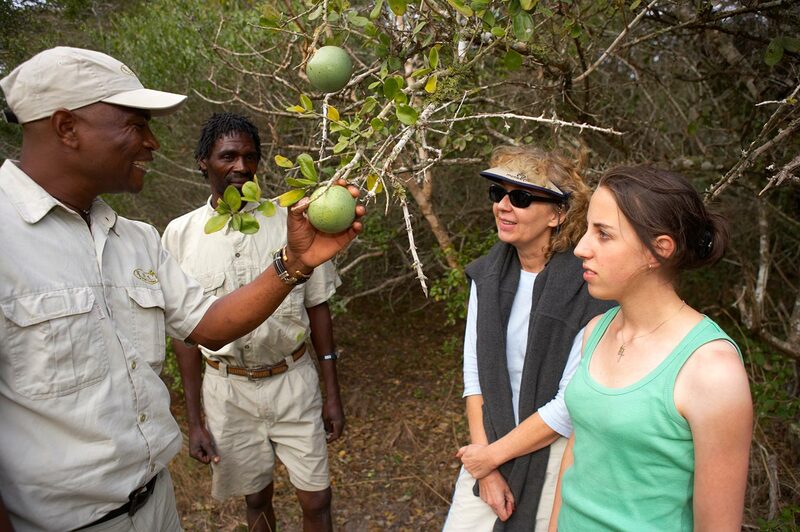 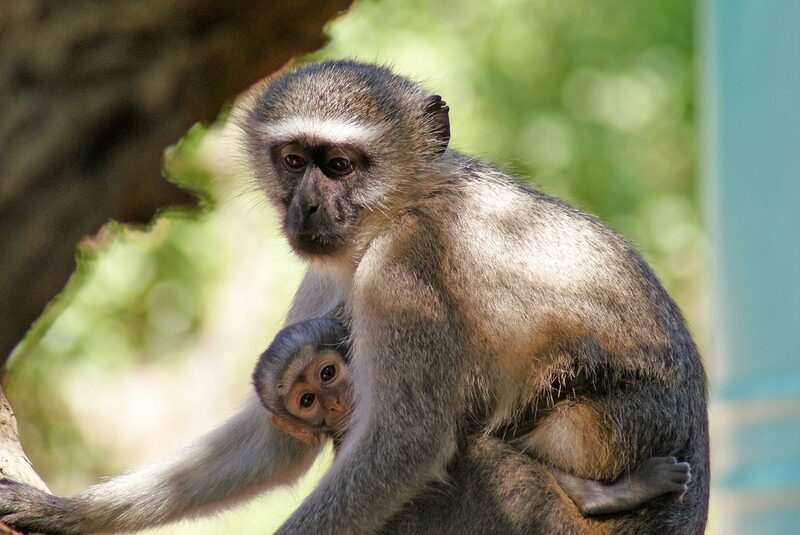 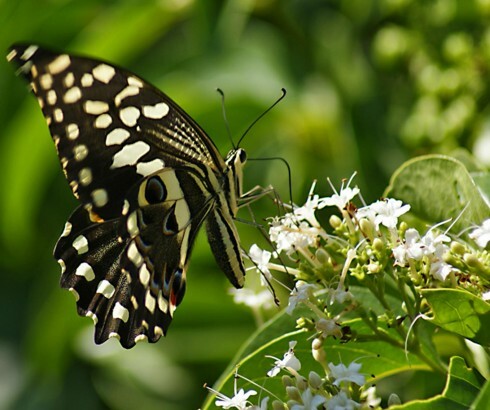 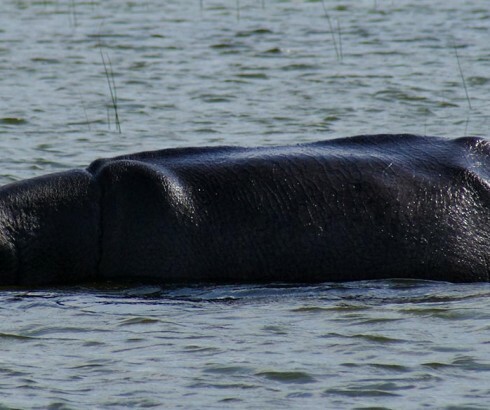 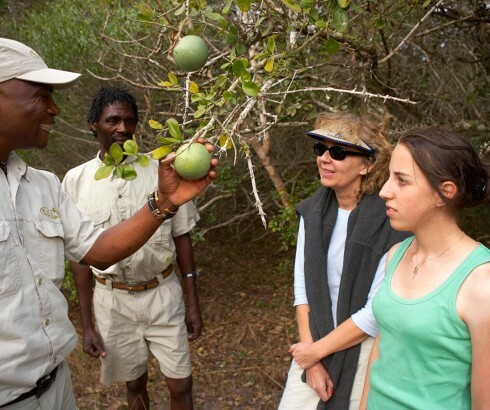 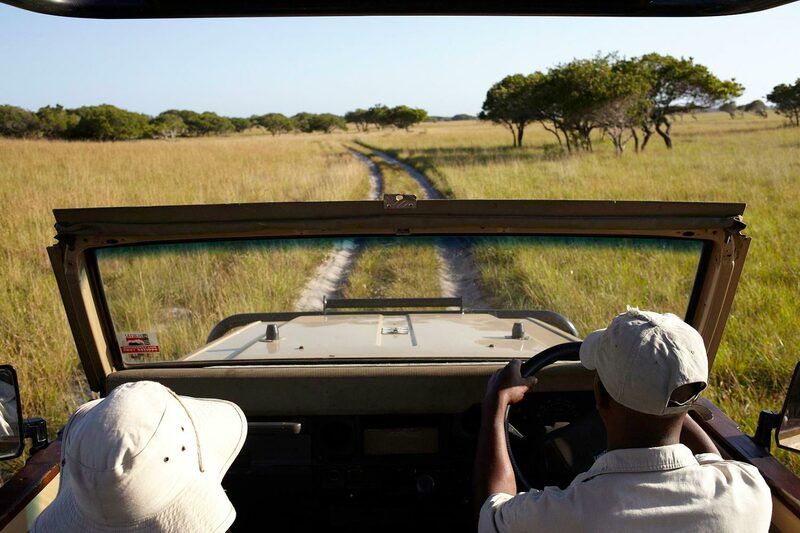 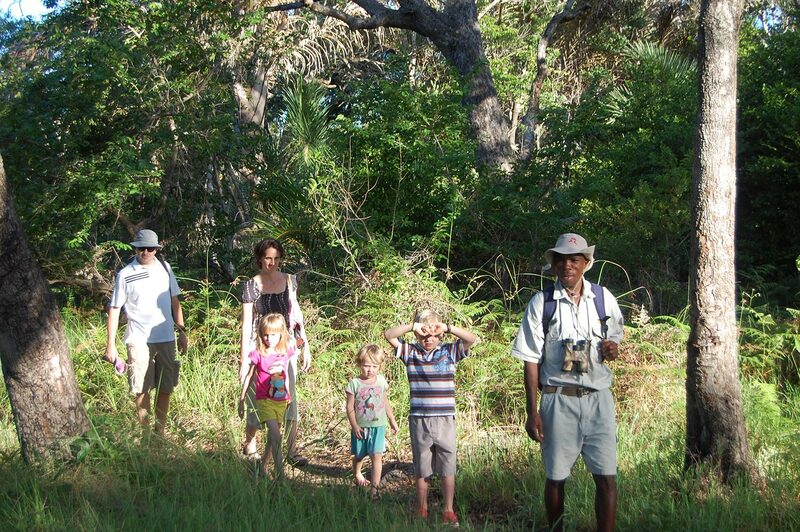 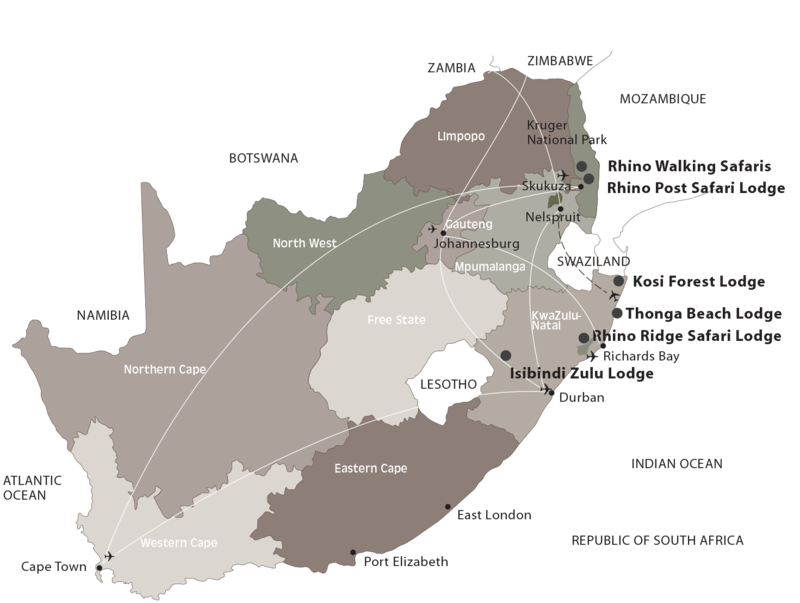 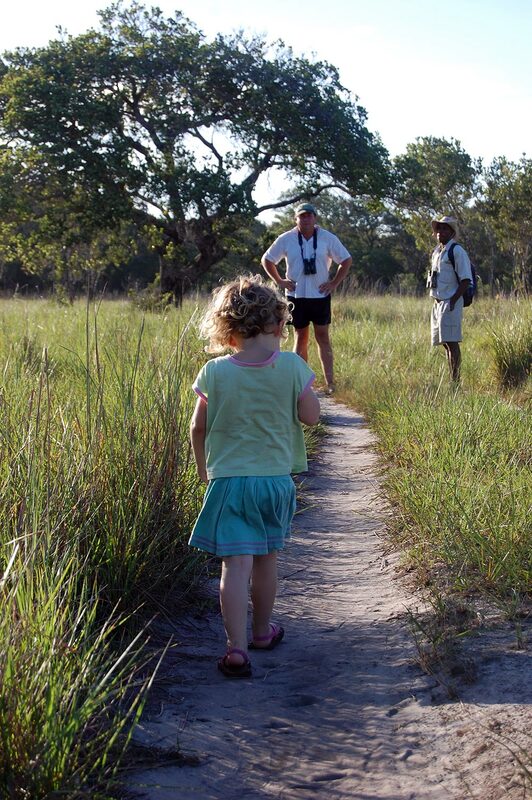 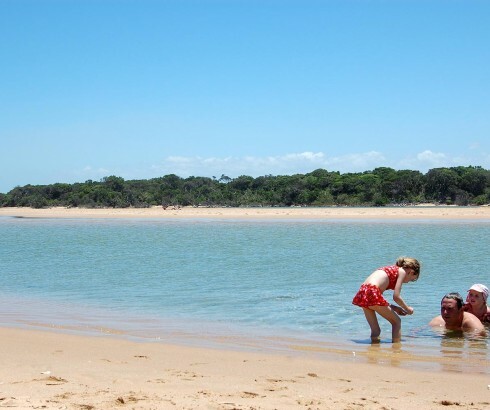 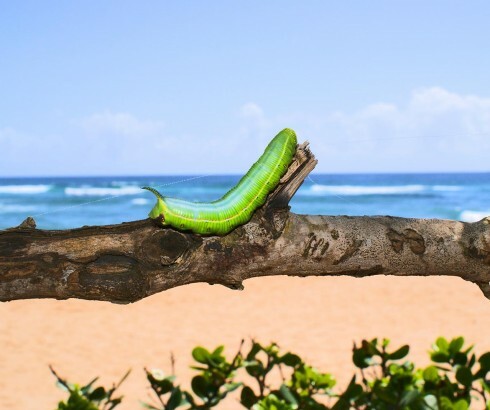 The wildlife in the iSimangaliso Wetland Park varies across all of these various ecosystems. 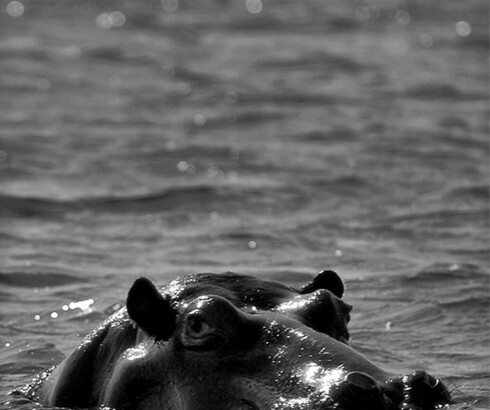 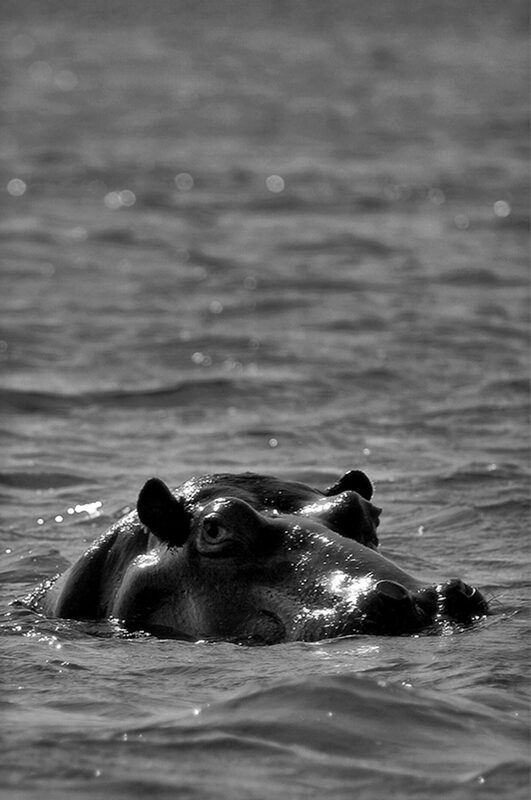 The hippopotamus (hippopotamus amphibius) is the most dominant mammal of the Kosi system with a population of about 60. 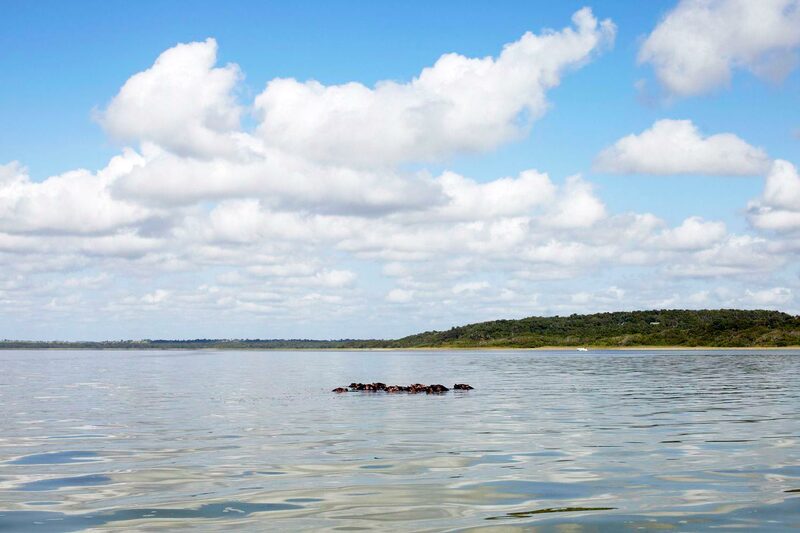 Other estuary-associated mammals include the water mongoose (atilax paludinosus) and the clawless otter (aonyx capensis). 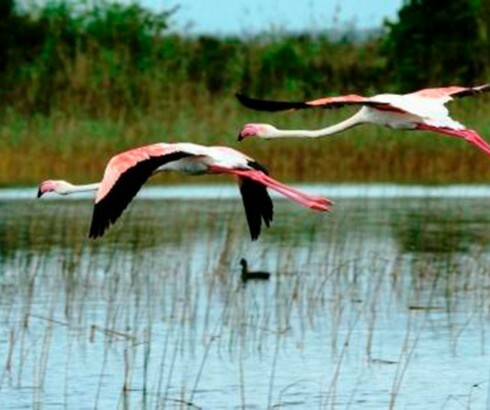 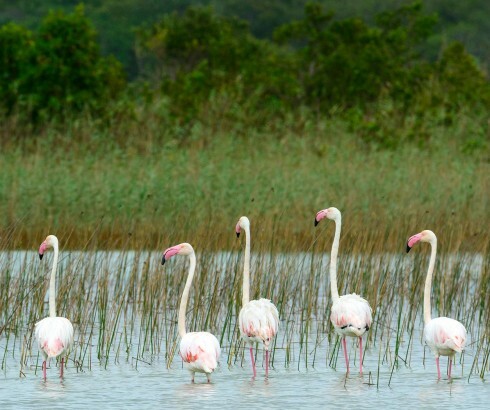 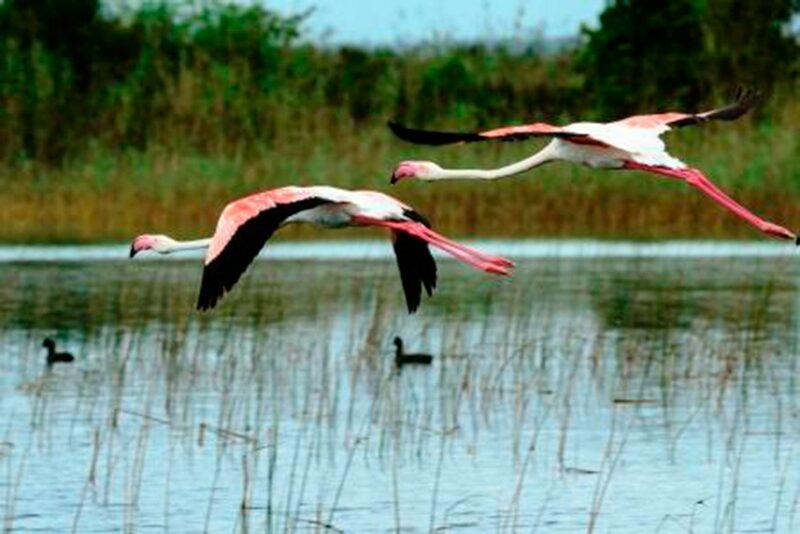 There are nearly always small numbers of greater flamingoes (phoenicopterus ruber) and lesser flamingoes (p.minor). 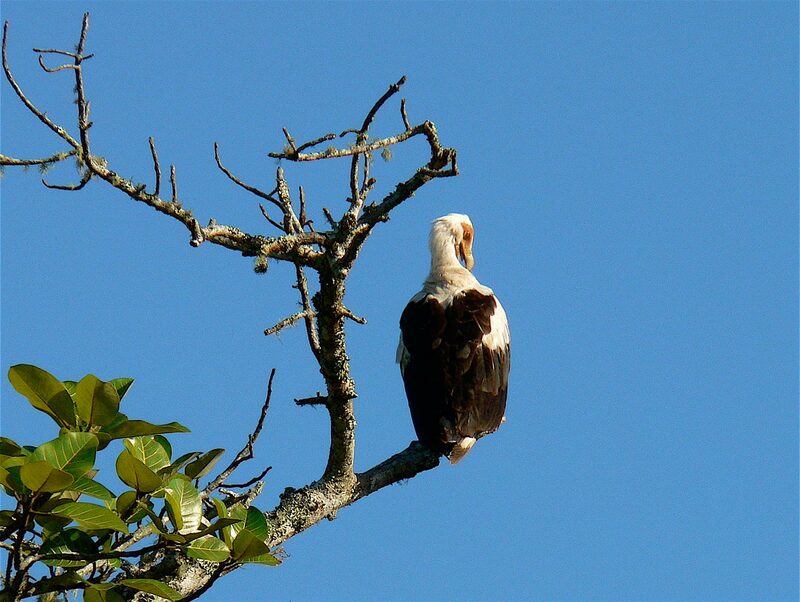 Ospreys (pandion haliaetus) are regularly seen. 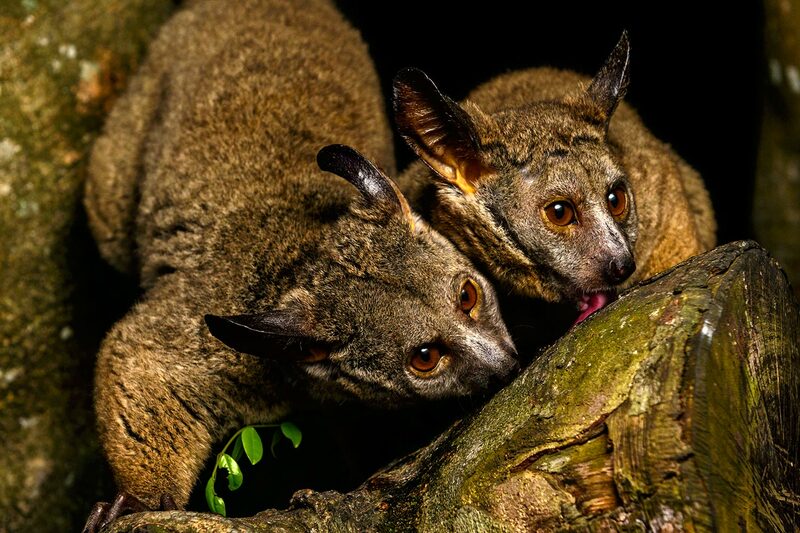 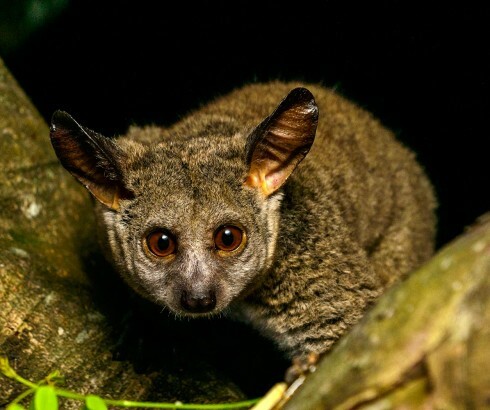 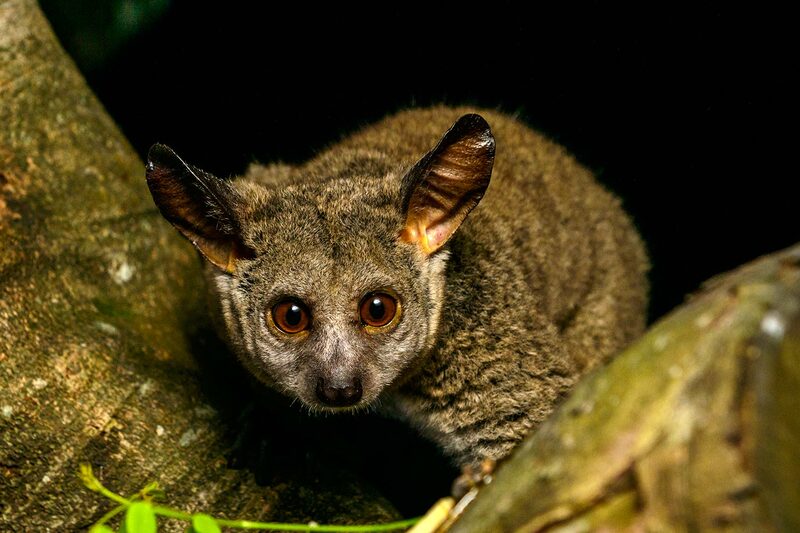 The raffia forests are also home to the palmnut vulture (gypohierax angloensis), a red data species, and the only fruit-eating vulture in the world. 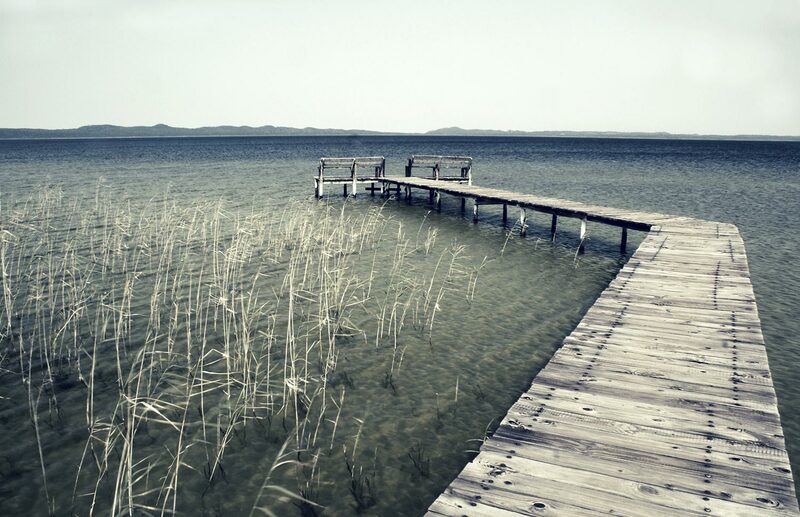 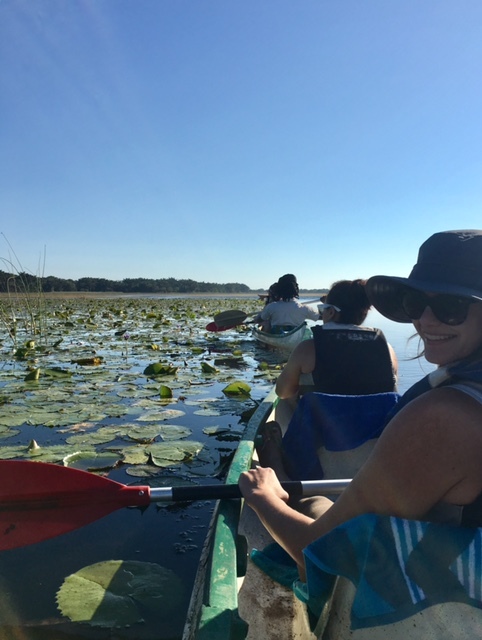 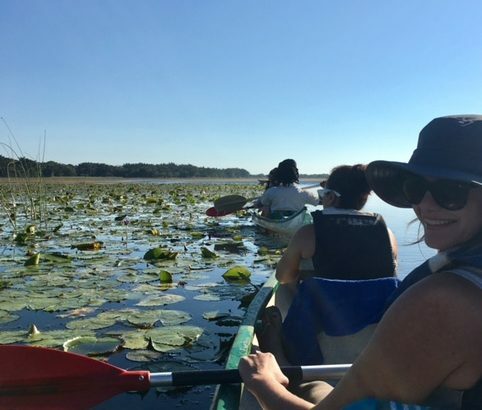 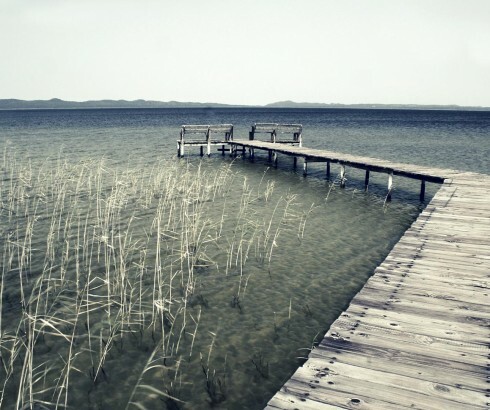 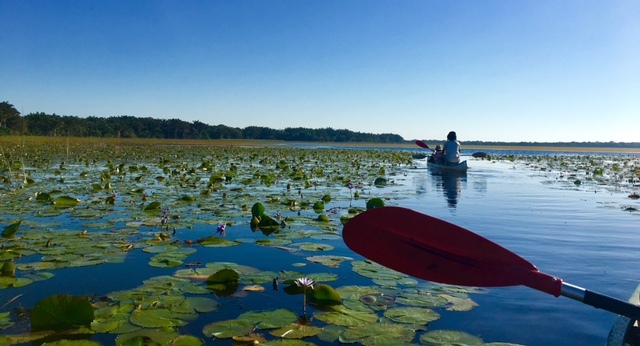 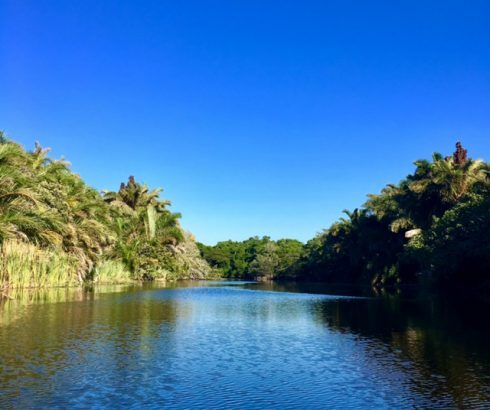 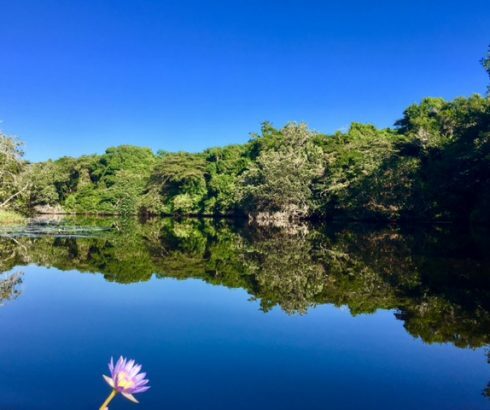 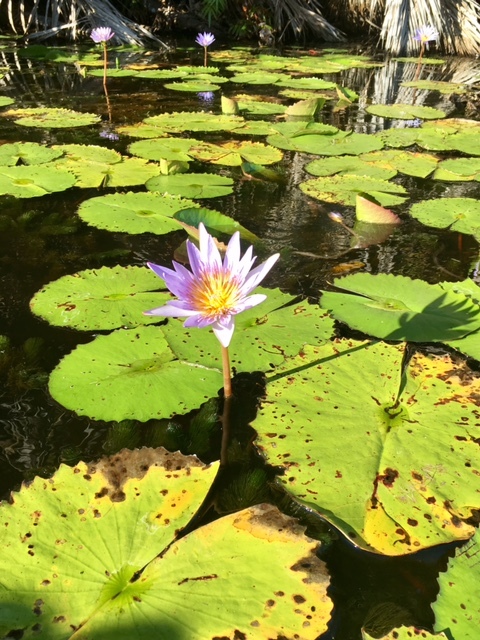 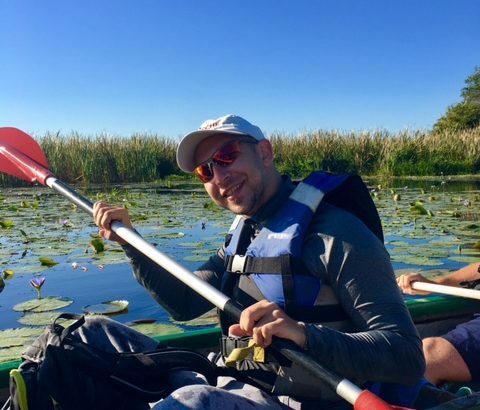 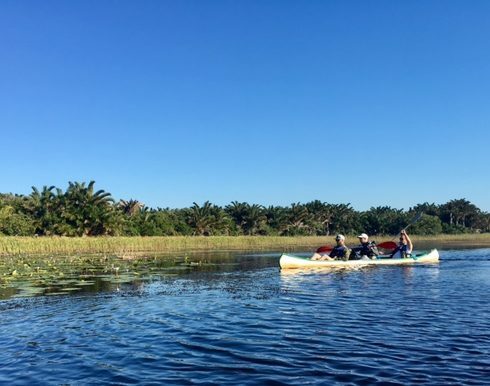 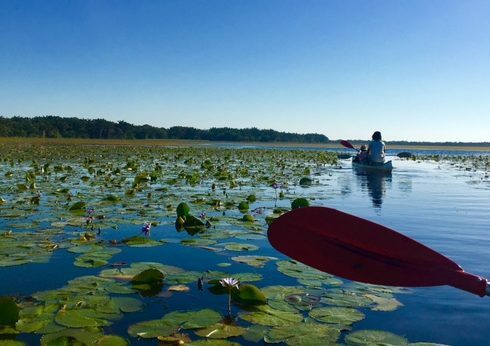 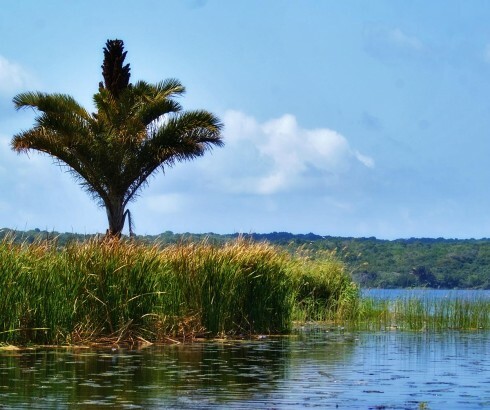 Kosi Bay supports a great variety of fish and other aquatic fauna due to the different physical characteristics of the lakes. 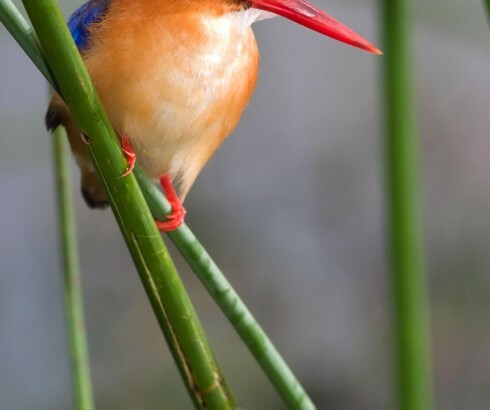 There are eight known red data fish species in the area, most of which have their largest known populations in the Kosi system. 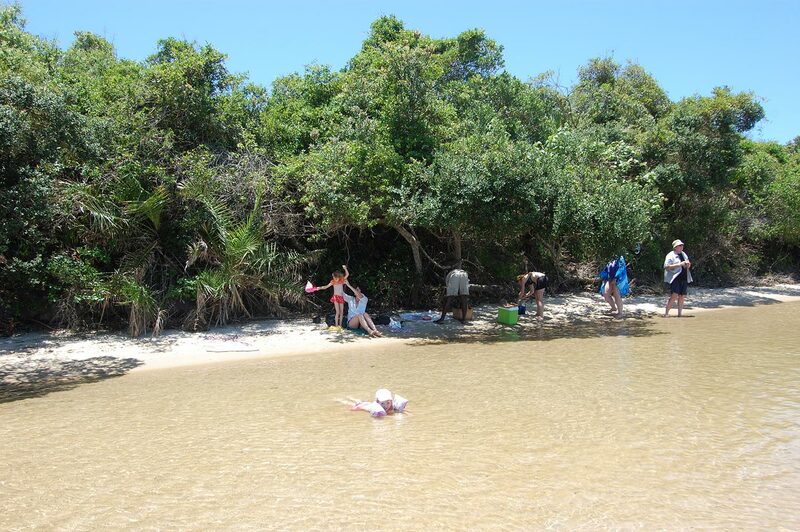 The Kosi Bay area is of considerable botanical importance with several red data species found here. 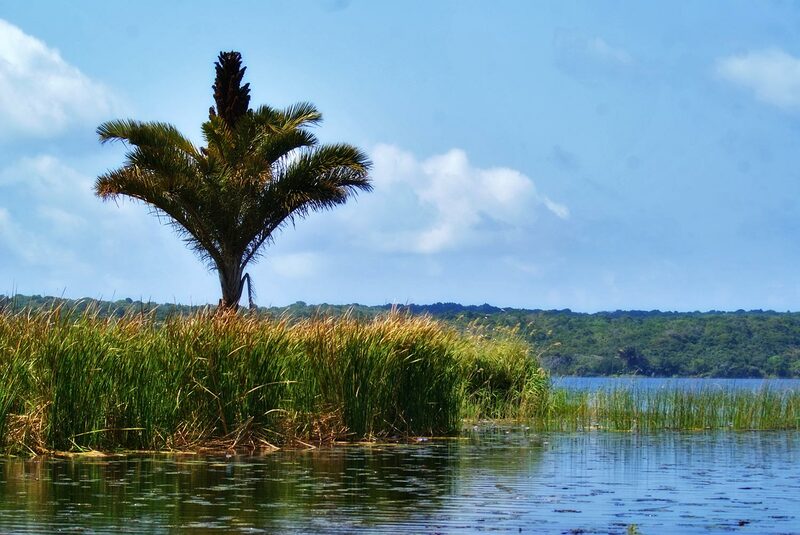 The swamp forests found in this area are the largest in the country and the giant palm raffia australis, on which the Palmnut vulture is dependent, is as its natural southern limit here. 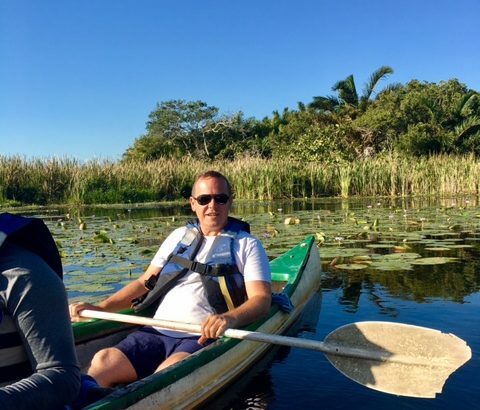 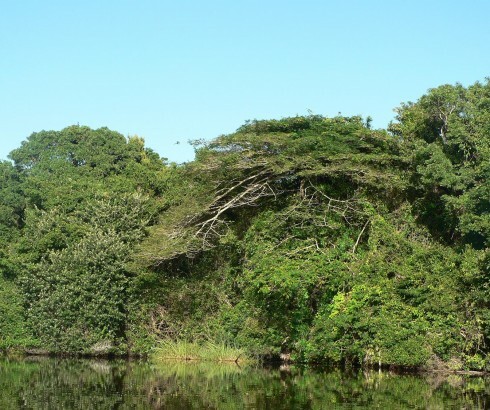 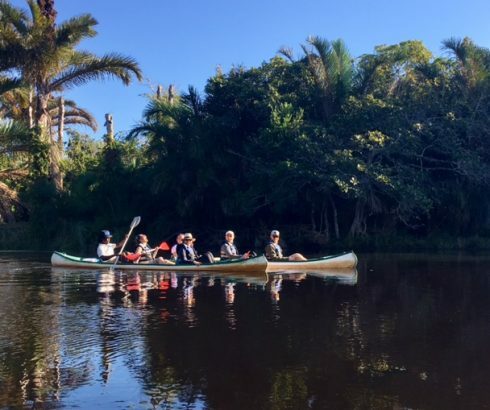 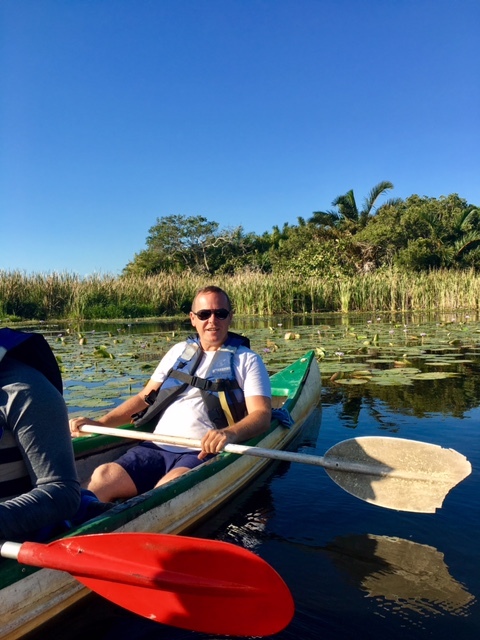 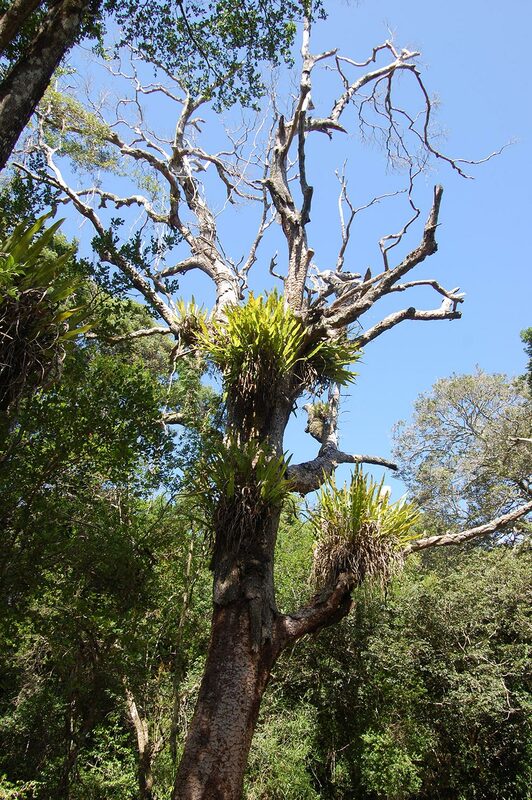 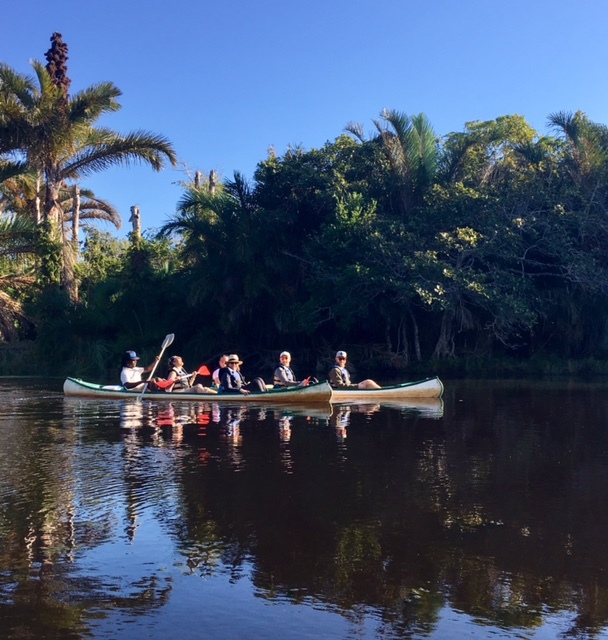 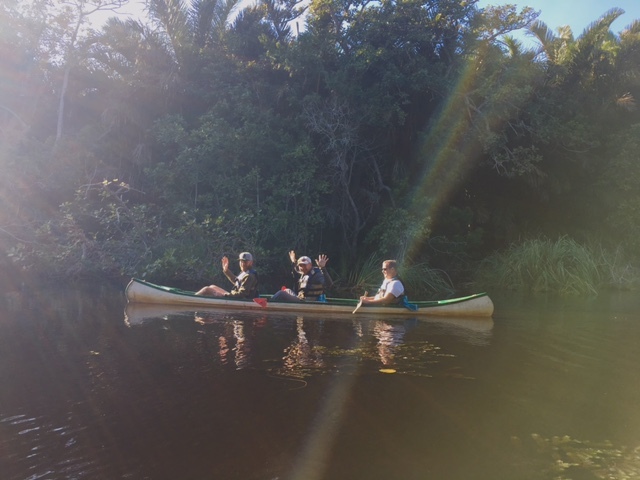 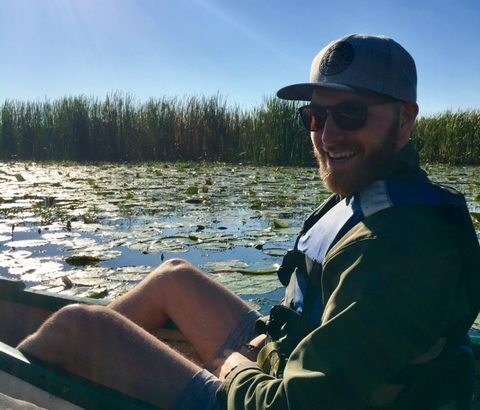 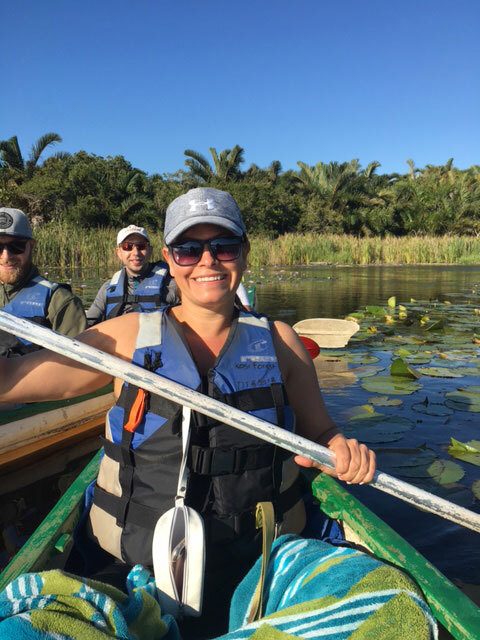 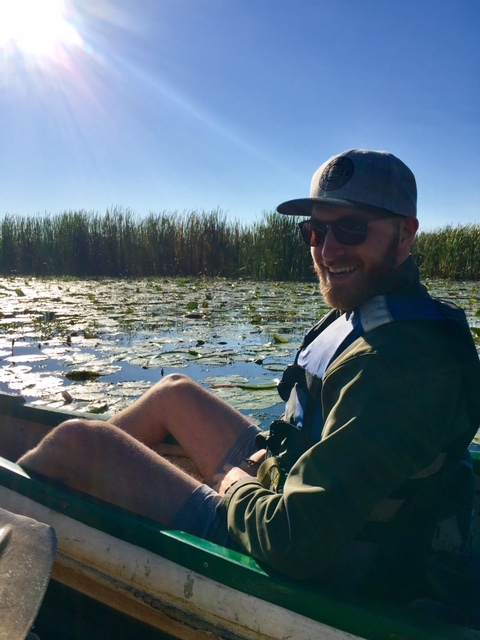 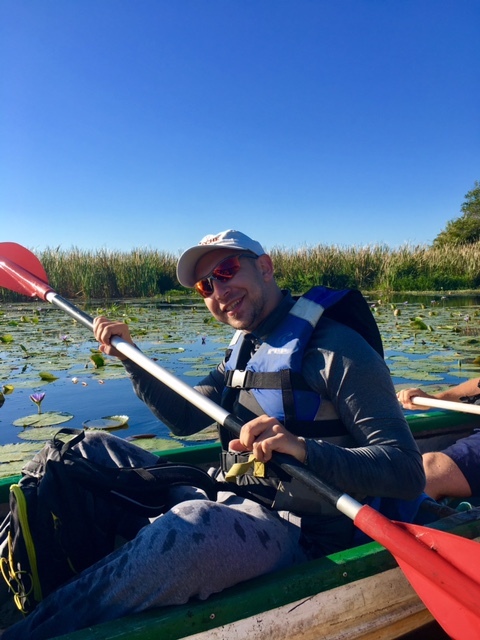 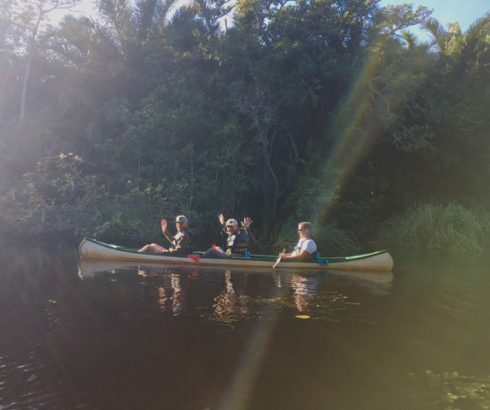 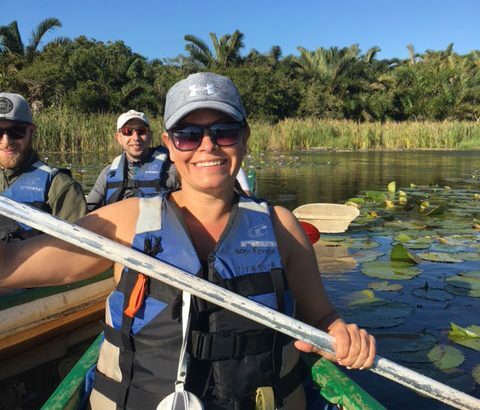 This is the only area in South Africa where five species of mangrove are found, two of which (luminitzera racemosa and ceriops tagal) are at the southernmost limit of their distribution. 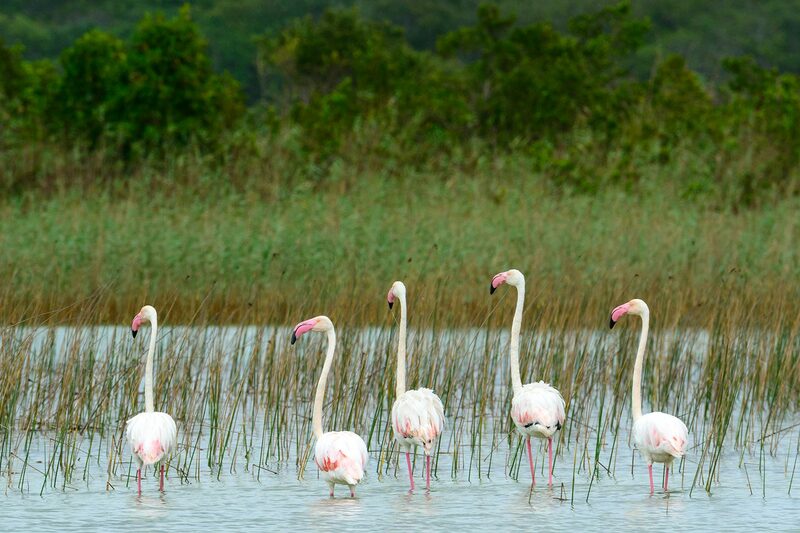 There are nearly always small numbers of greater flamingoes (phoenicopterus ruber) and lesser flamingoes (p. minor). 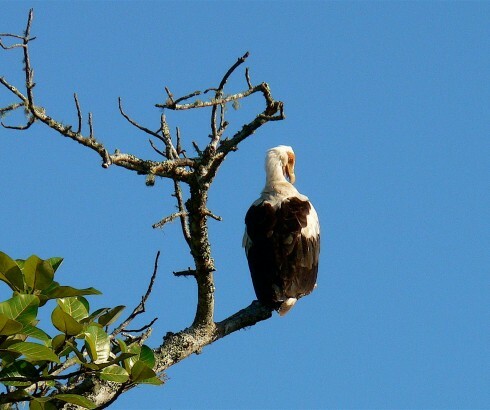 Ospreys (pandion haliaetus) are regularly seen. 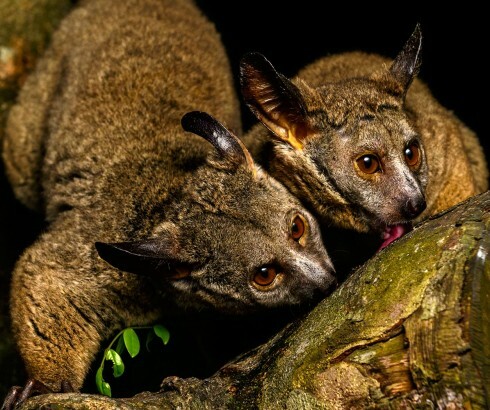 The raffia forests are also home to the palmnut vulture (gypohierax angloensis), a red data species, and the only fruit-eating vulture in the world. 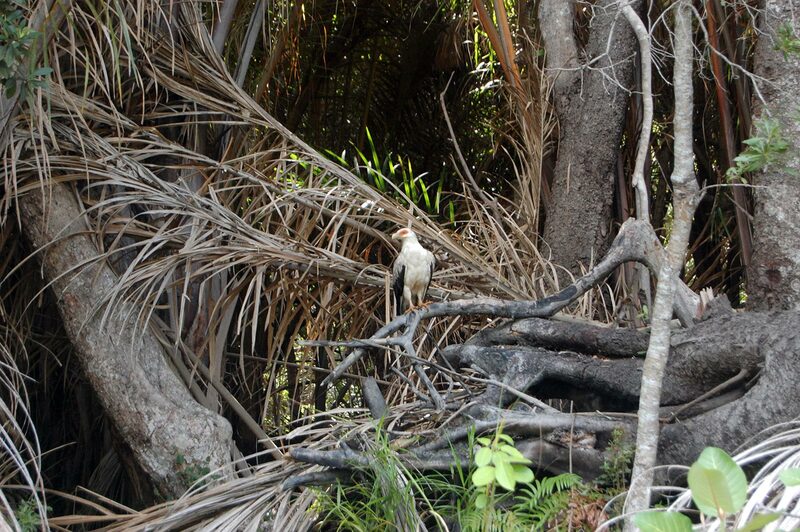 The elusive pels fishing owl also frequents the forests and waterways. 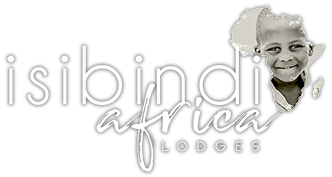 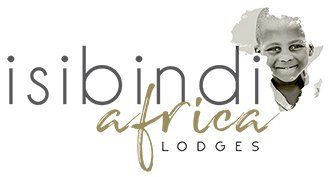 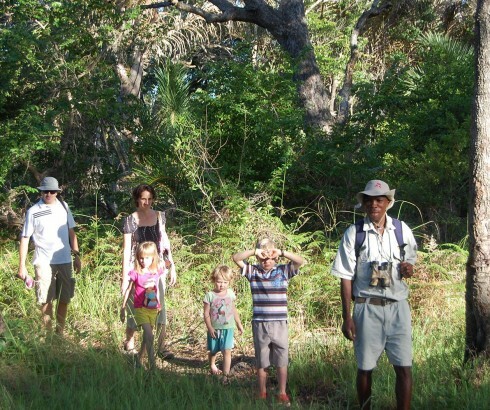 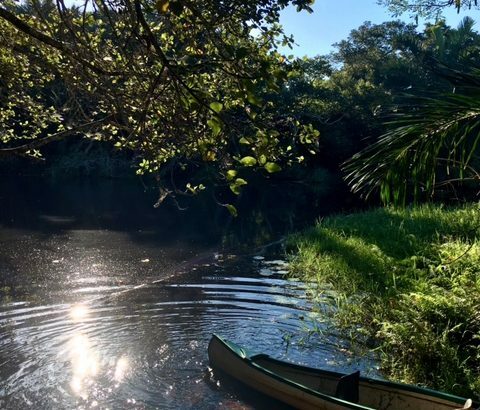 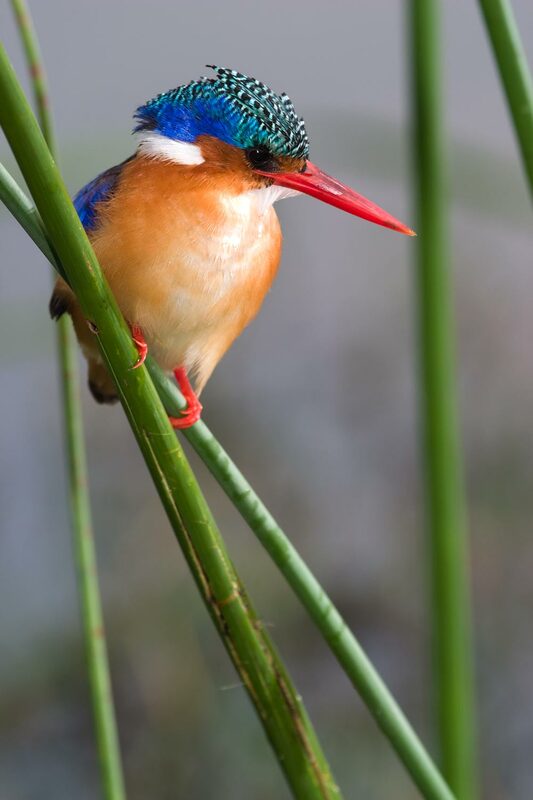 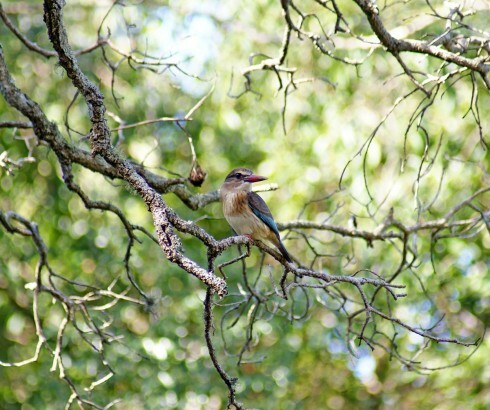 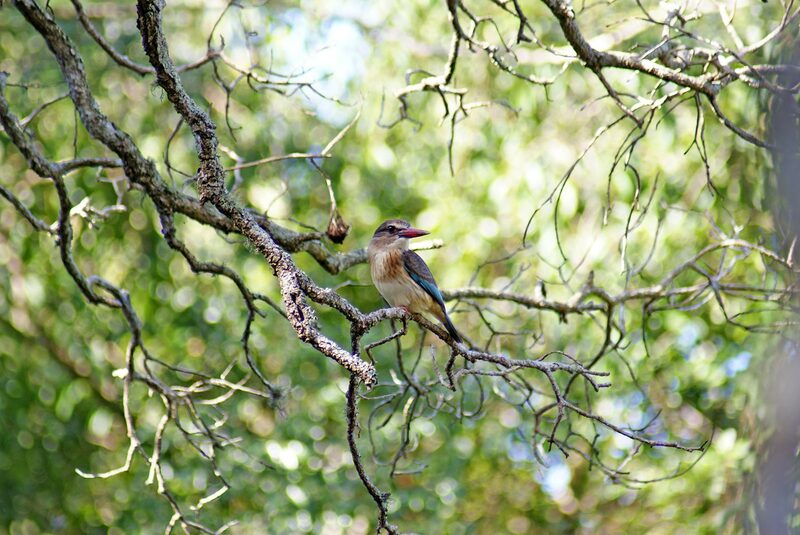 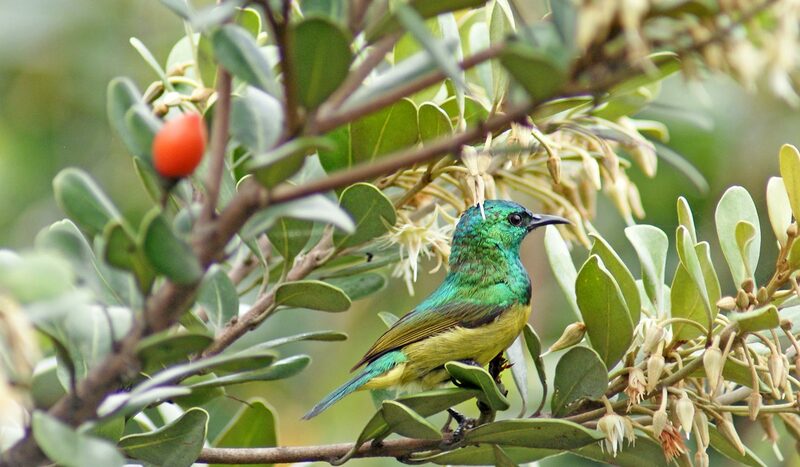 Kosi Forest Lodge focuses on birding and has access to some of Zululand’s best birding areas and can provide guided tours. 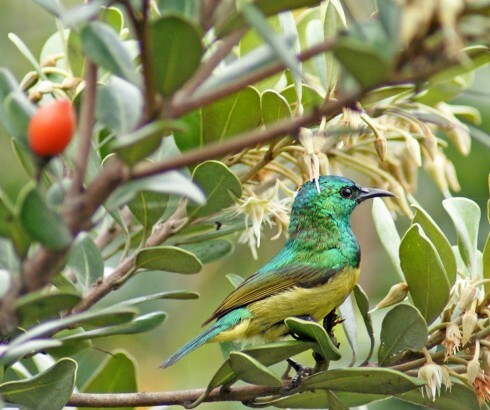 Birds in camp include brown scrub-robin, purple-banded sunbird, flappet lark, livingstone’s turaco, and african wood-owl (at night). 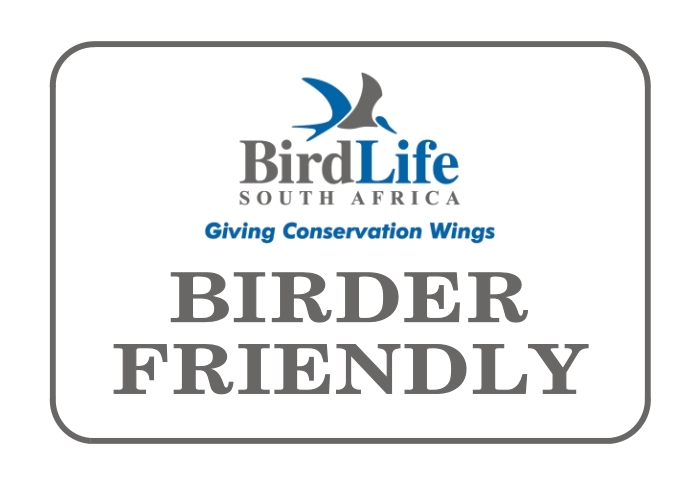 With over 420 Species recorded in the area, one can be assured of some great birding in one of South Africa’s most bio-diverse areas. 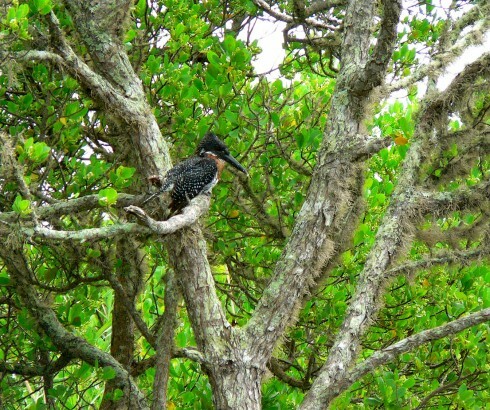 Most east coast specials and endemics can be found here, including the southern banded snake-eagle, palmnut vulture, crested guineafowl, african finfoot, livingstone’s turaco, pel’s fishing-owl, swamp nightjar, narina trogon, african broadbill, brown scrub-robin, pale-crowned cisticola, woodwards’ batis, blue-mantled crested-flycatcher, purple-banded sunbird and rosy-throated longclaw. 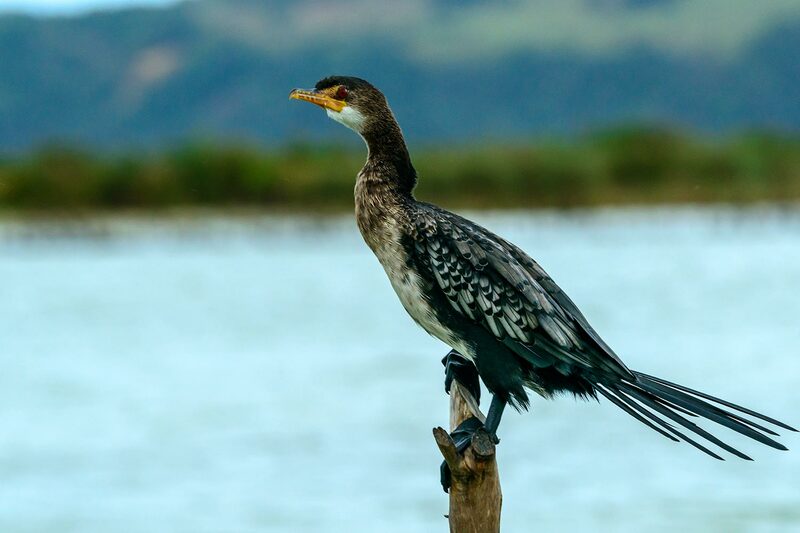 Rarities include ayres’s hawk-eagle, crab plover and greater frigatebird. 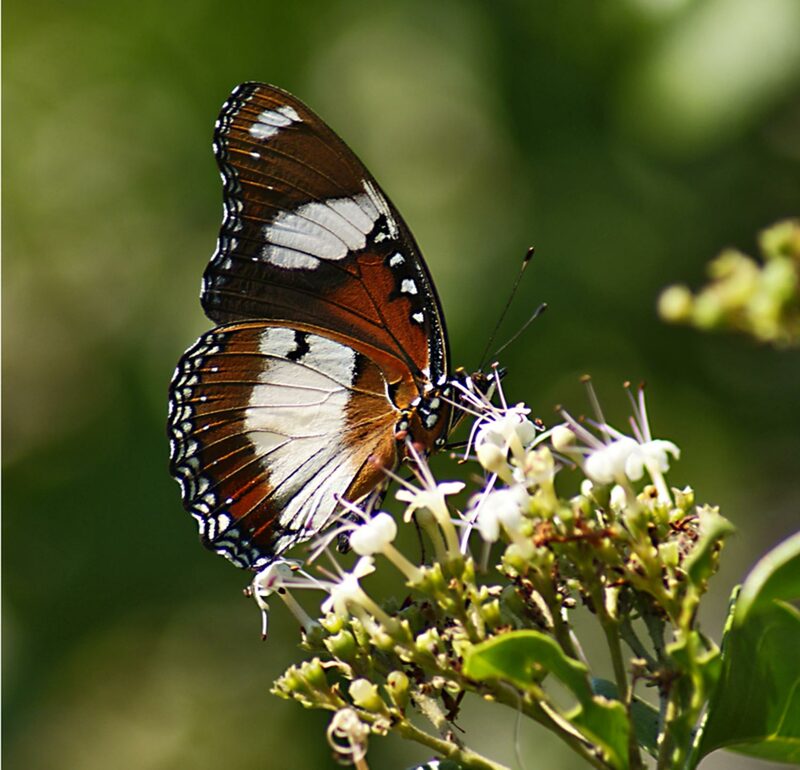 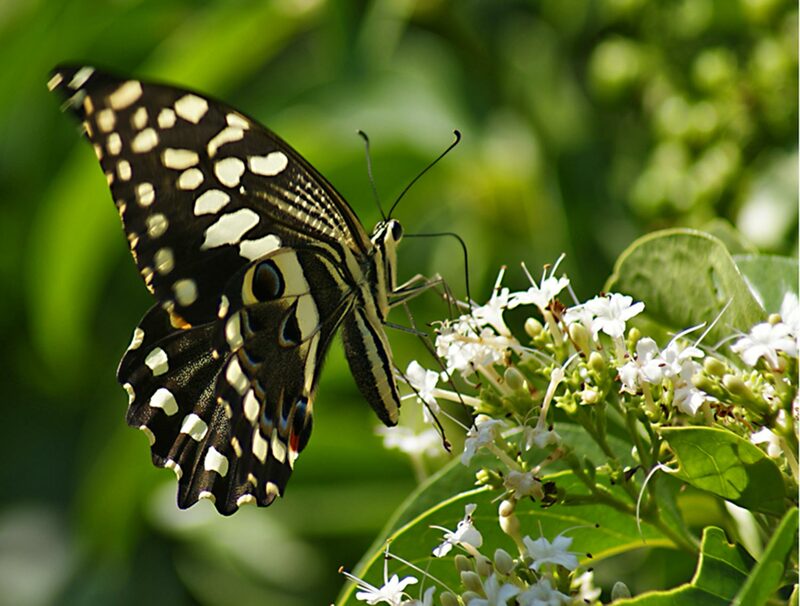 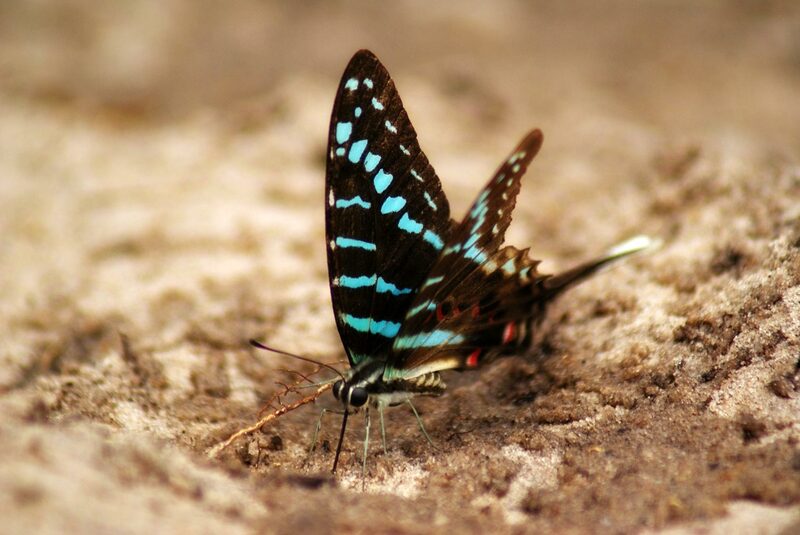 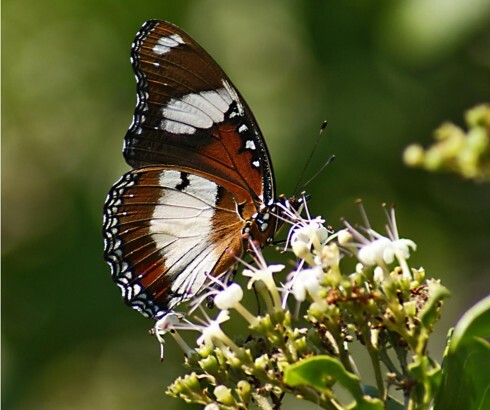 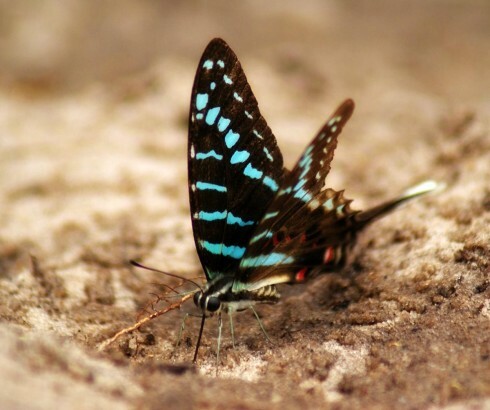 A particular species of butterfly, a skipper (parnara micans) is regarded as endemic to Kosi Bay. 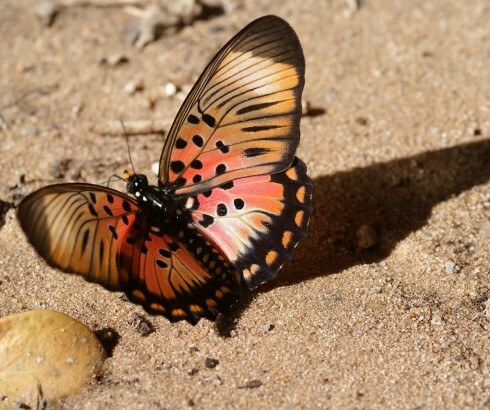 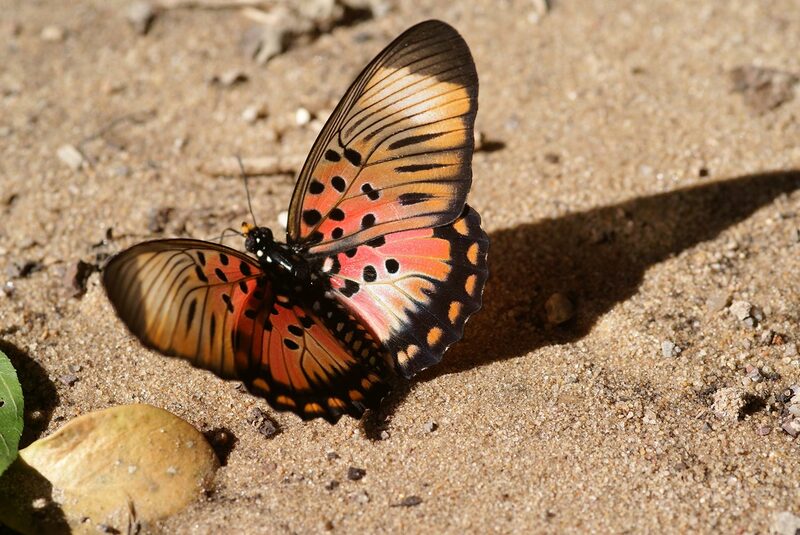 The flame bordered emperor or flame bordered charaxes (protocoled azota) is a red data butterfly species. 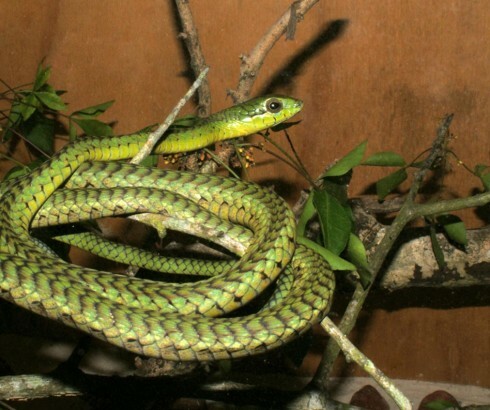 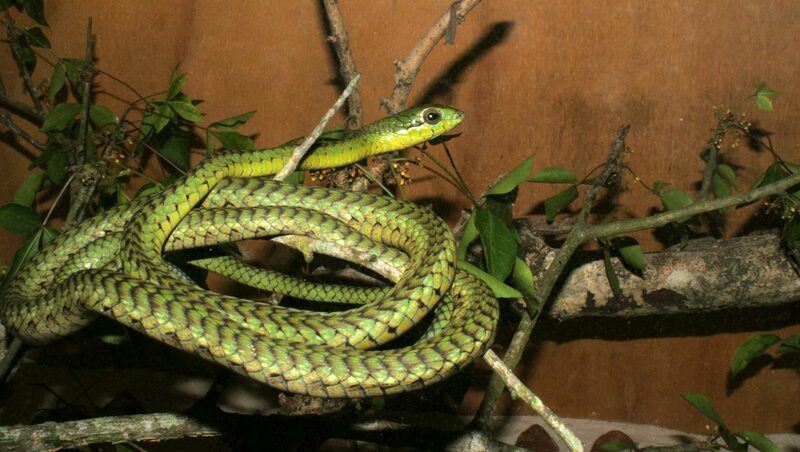 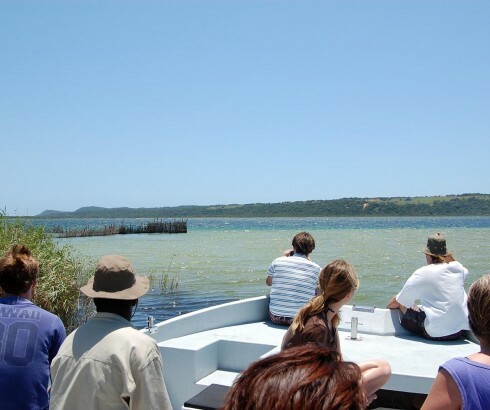 It is a marginal species that occurs only in Kosi Bay in South Africa and is distributed from South Africa to East Africa. 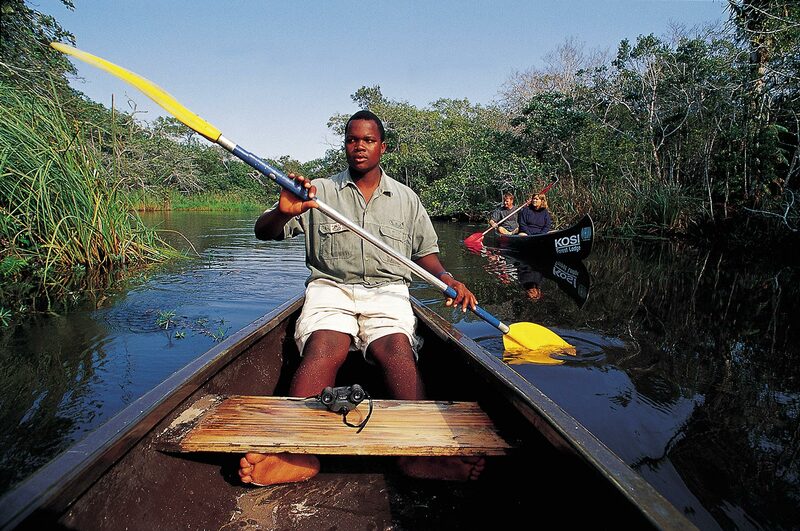 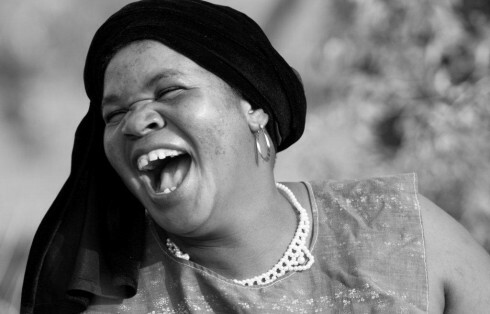 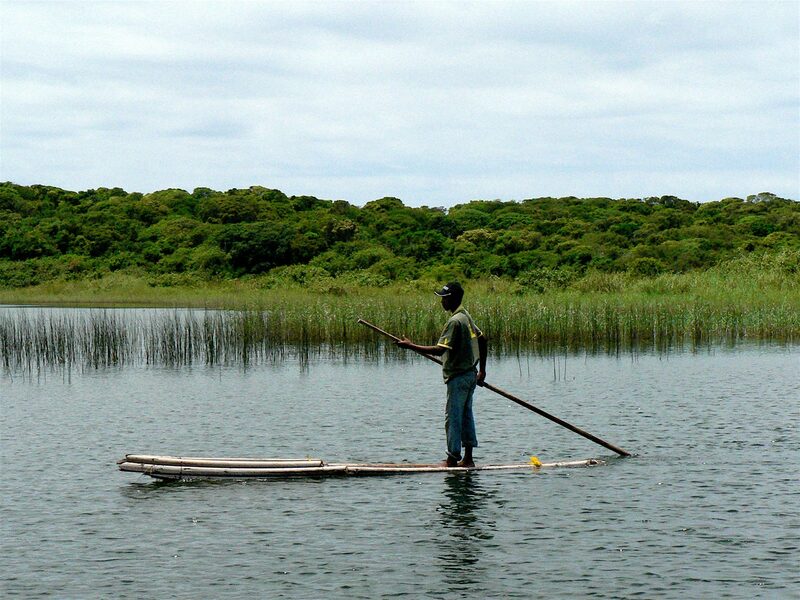 The Tsonga community in the area use traditional fishing methods to harvest the numerous fish species in the estuary. 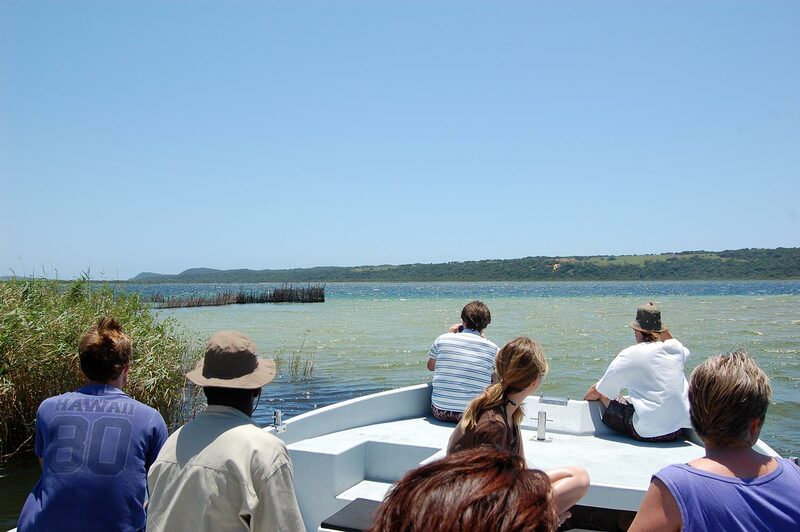 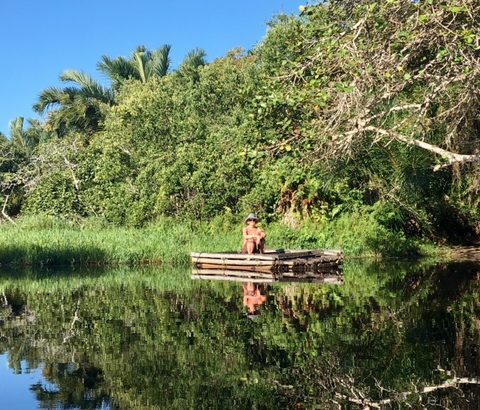 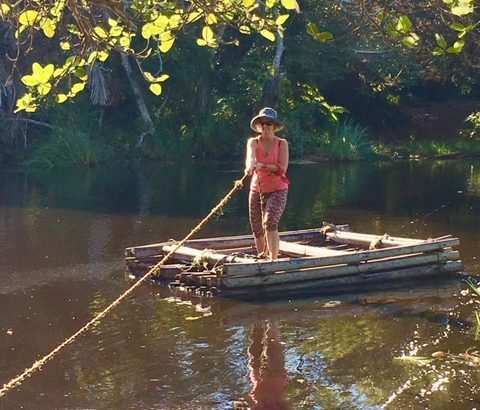 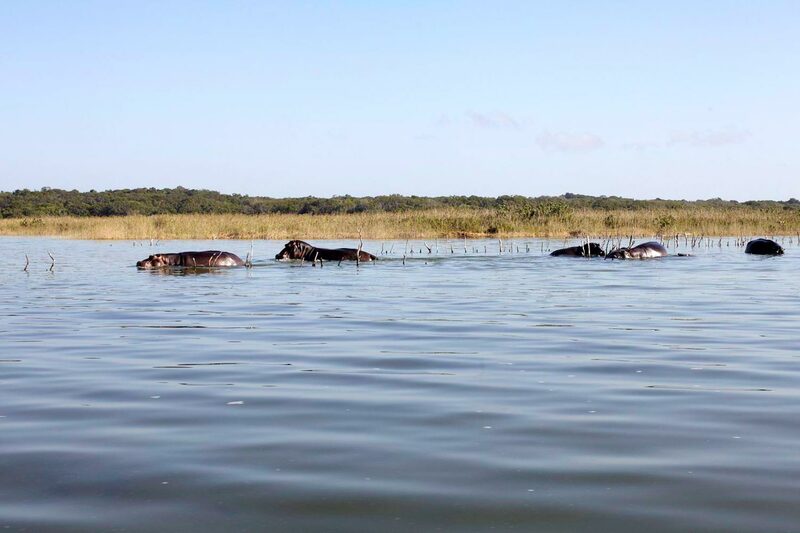 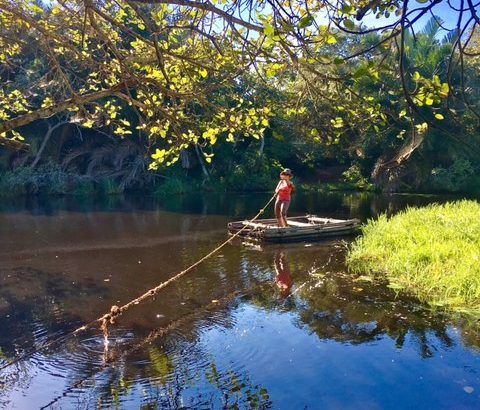 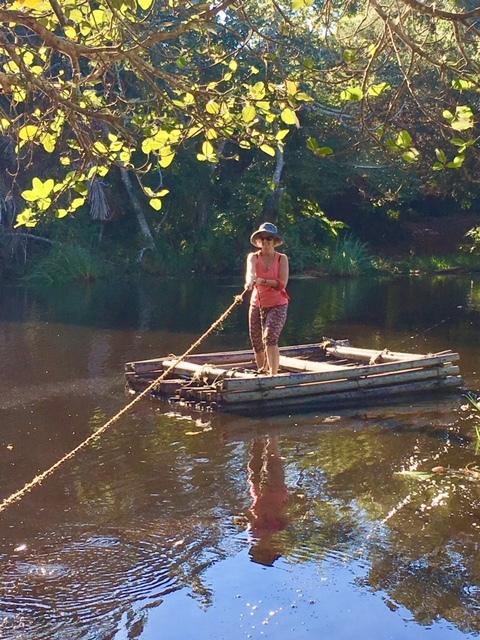 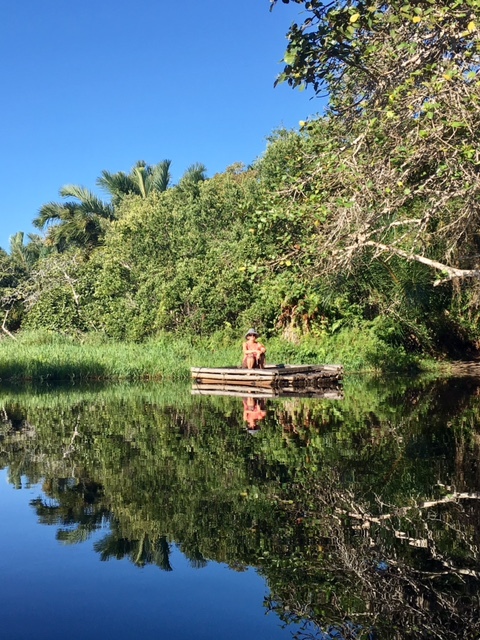 Fish kraals or traps, which have been passed down from father to son, are spread throughout the estuary, providing an important source of protein to the local people and a tourist attraction to Kosi Bay’s many visitors. 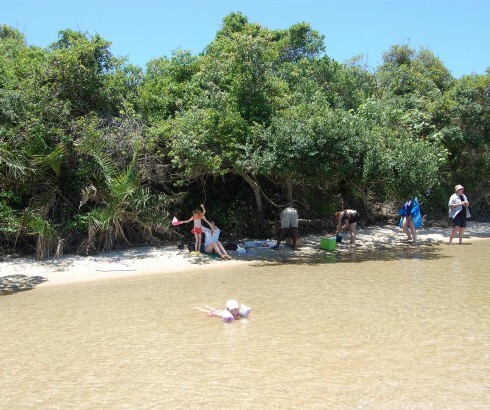 Good management and the controlled use of resources makes Kosi Bay an excellent example of the concept ‘wise use in action’. 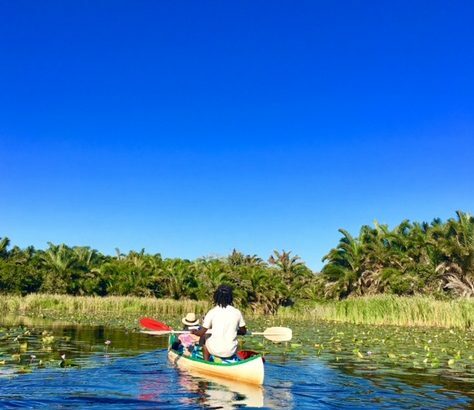 Kosi Bay is famous for its traditional fish traps or kraals, used by the local Tsonga community for centuries, passed down from generation to generation. 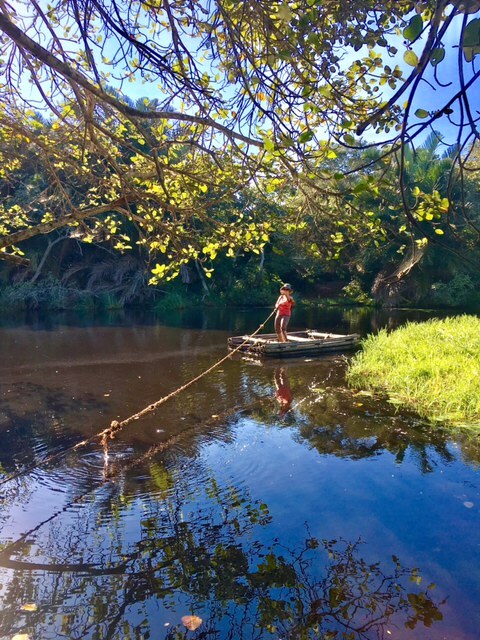 The kraals are built in the shape of a six and narrow down to a circle in the middle where the fish are trapped and then speared and caught in a basket. 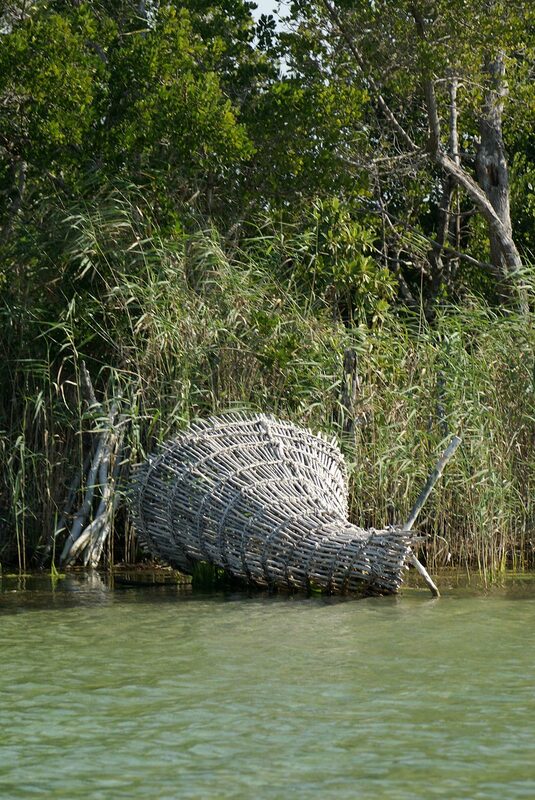 All materials used in the traps and baskets are sourced from the local raffia palm. 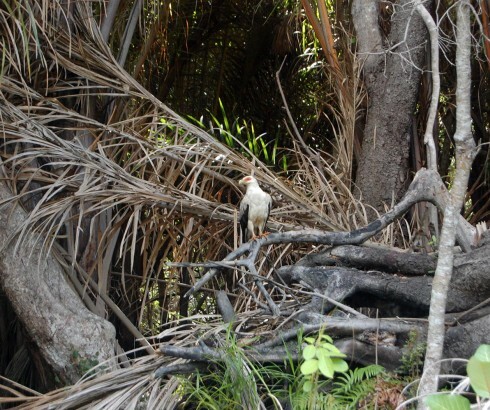 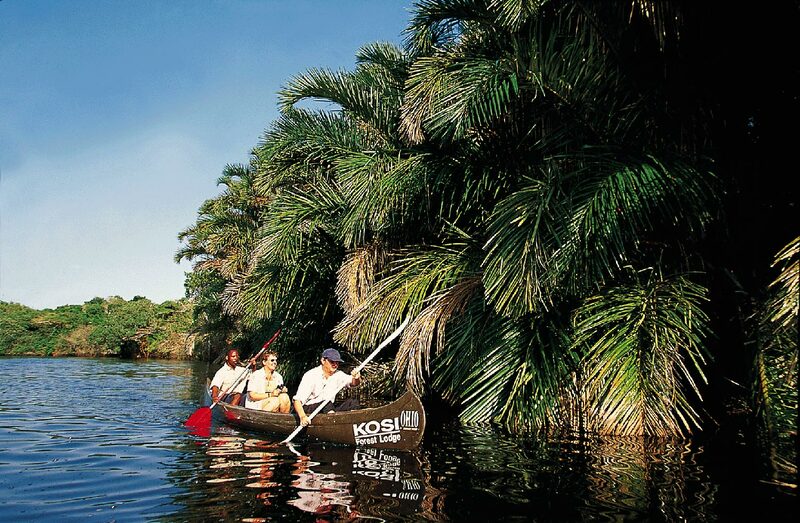 The Kosi Bay area is well known for its indigenous raffia forests. 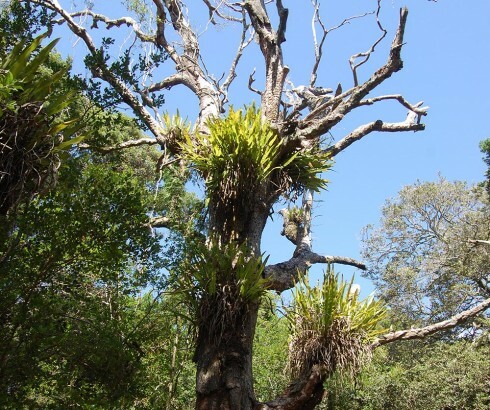 These plants flower only twice in their life span once at 20 years and again at 40 years after which they die. 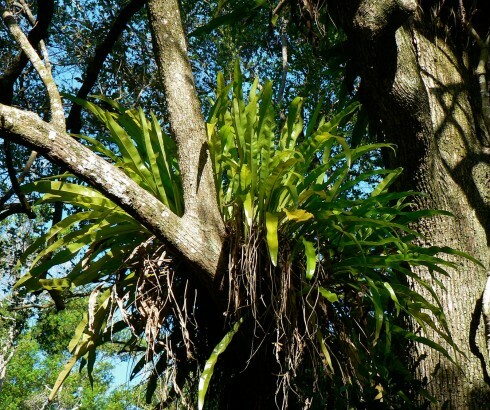 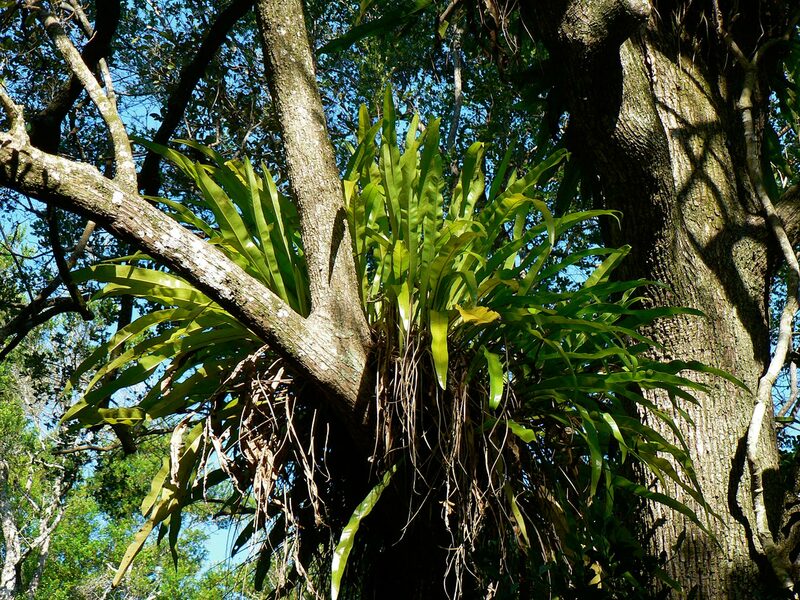 The plants can grow up to 16m in height and have some of the longest leaf structures in the world. 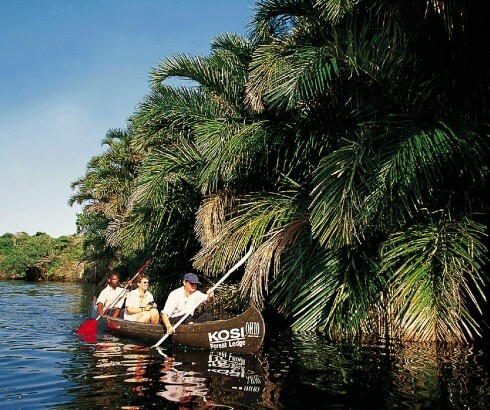 The fronds of the palm are used to make canoes by the local people which they use on the lakes. 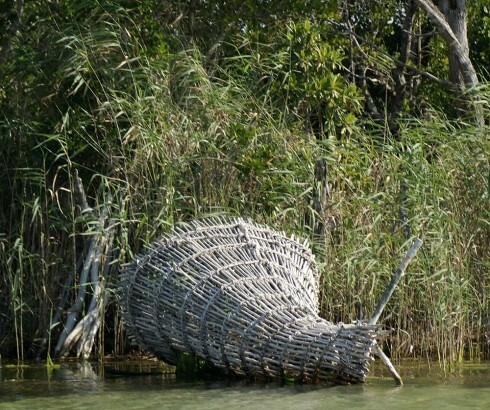 They are also used to build the walls and internal structures of their homes.